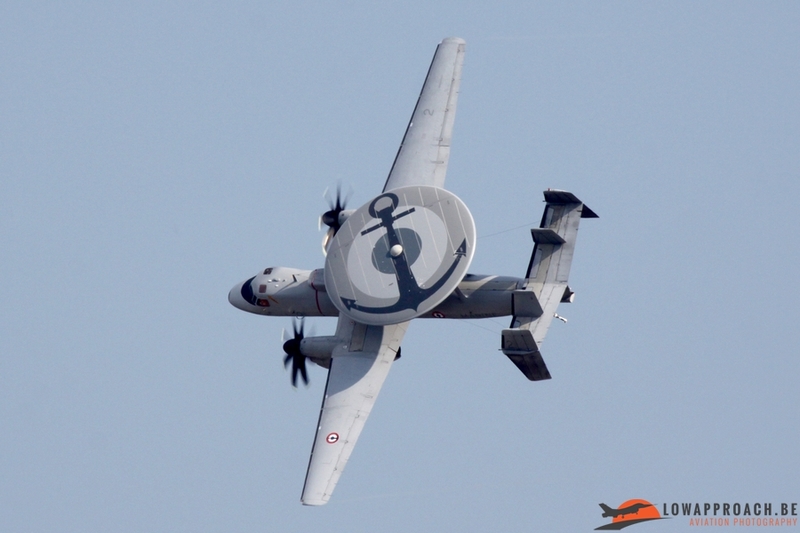 For all the people like me who visited in 2010 the 100 Years Aéronautique Navale event at BAN Hyéres-La Palyvestre can confirm that this was one of the best airshows of the last years held in Europe. 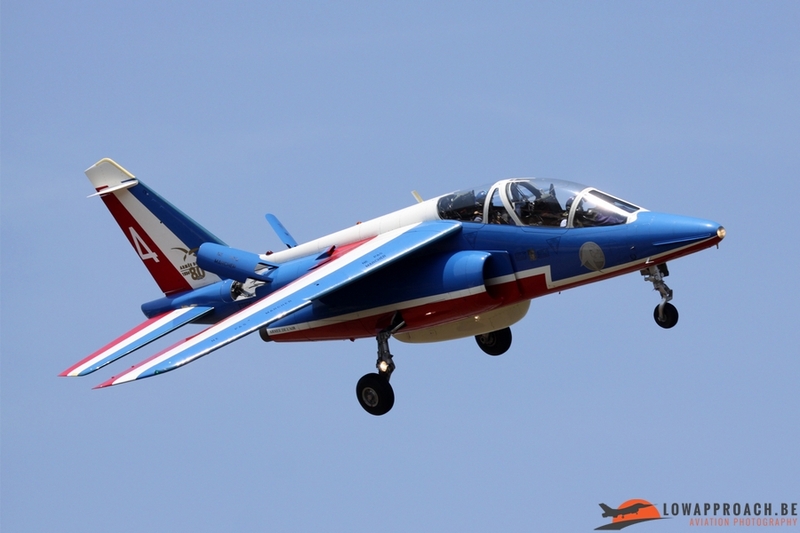 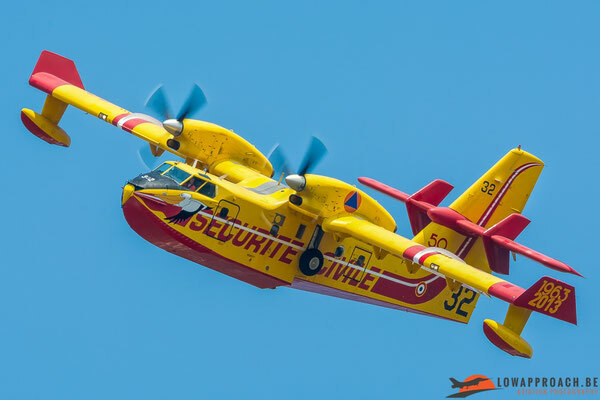 Four years later, on Sunday June 15, BAN Hyéres organized again an ‘journée portes ouvertes’ and this airshow with only French aircrafts and helicopters expected to display turned out to be a small but interesting event. Because thunderstorms and bad weather were expected on Sunday we preferred only to visit the rehearsals held on Saturday. 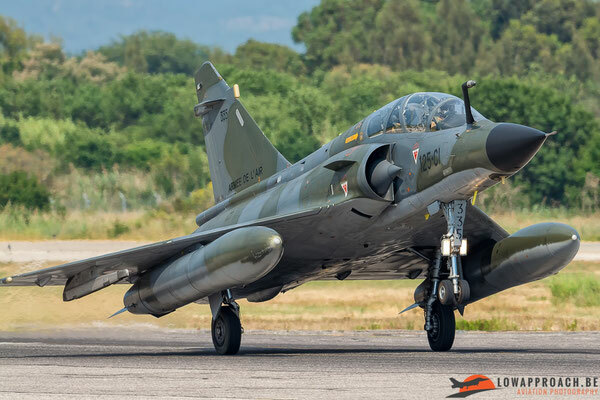 After travelling to BA 118 Mont de Marsan to join the farewell event held for the iconic Mirage F-1, which retired within the French Air Force a month later on Bastille Day, and a photo stop at BA 115 Orange-Caritat catching some Mirage 2000’s on Friday morning it was a long journey to reach our next target nearby the Mediterranean Sea on Friday afternoon. Two days blessed with 34° Celsius was ideal to take a sunbath at sea, but aircraft spotting was something different with these high temperatures. 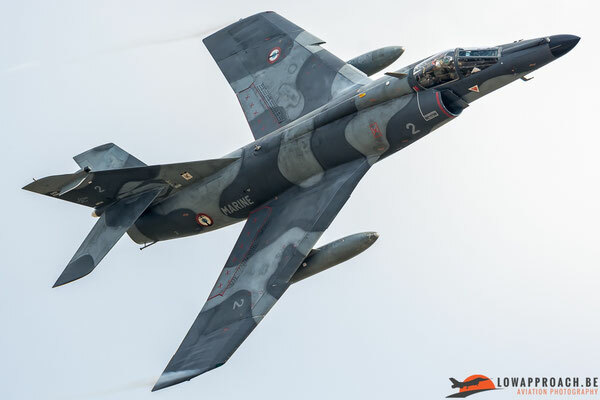 On Friday evening we tried to find a photo spot for the next day’s rehearsals and luckily nearby the fence of runway 05-23 we found a mount which turned out to be the perfect photo spot to photograph the aircrafts on the runway. 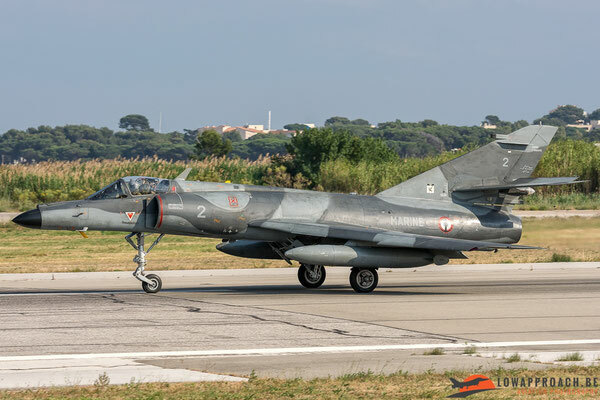 After I had photographed quite some arrivals along the fence on Saturday morning I moved to a ‘cool’ spot with shade, which was more than welcome, nearby the residential houses at the beginning of runway 05. 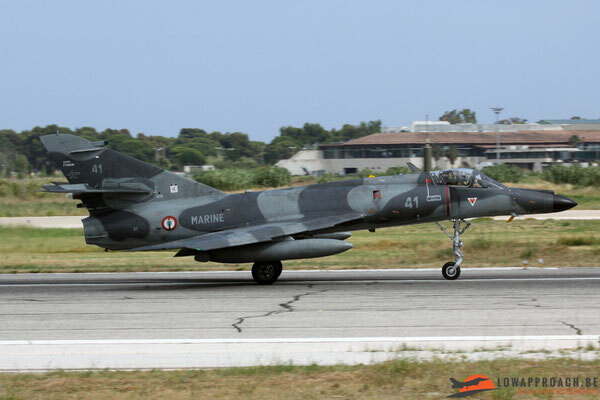 Here I could photograph the arrival of three Mirage 2000Ns of 'Ramex Delta', the 'Patrouille de France' which all made a nice turn before landing and Marine aircrafts like Xingu and Falcon 10MER which had still the ‘100 Ans Marine’ markings attached on the fuselage. 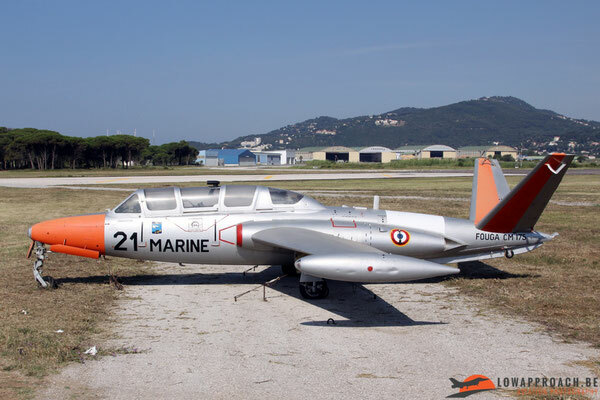 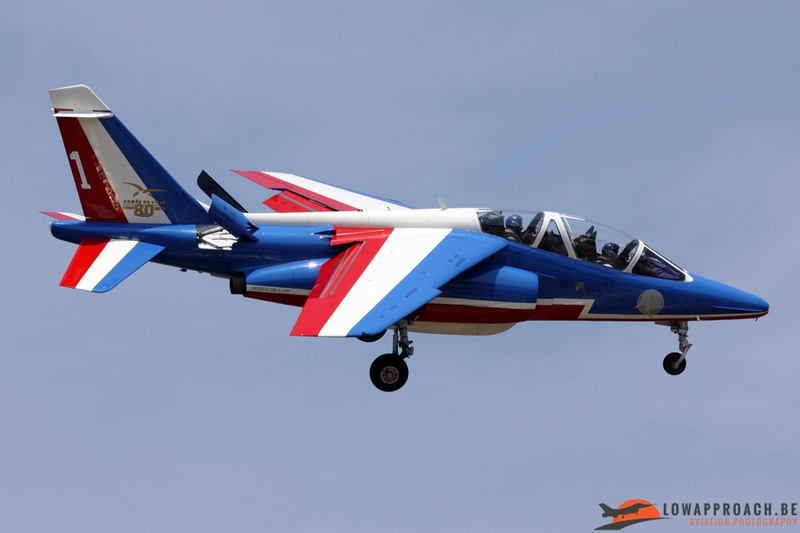 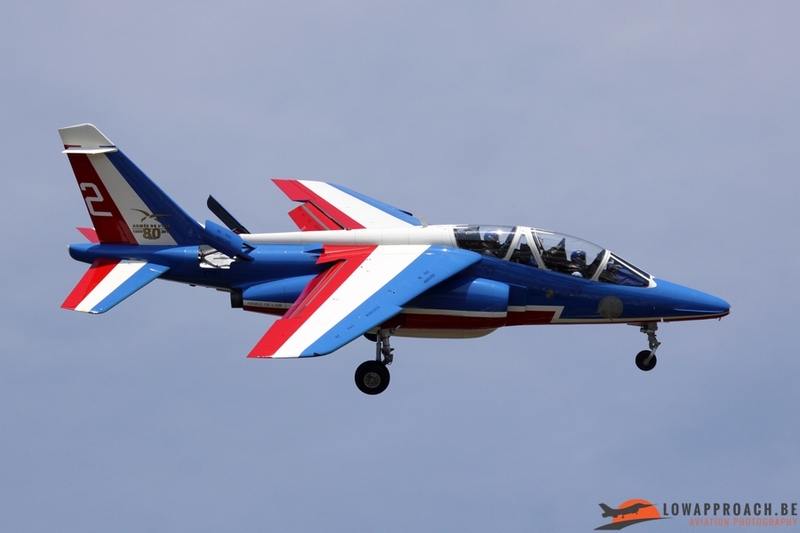 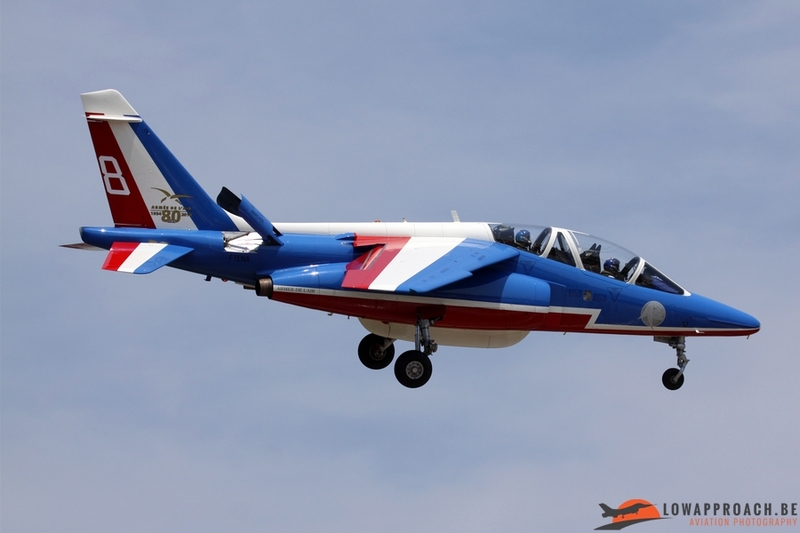 Also a Breguet Br1050 Alizé N° 59, an historic aircraft from the Aéronautique Navale that was made airworthy again after restoration in 2013, arrived to be part of the formation flight with a Morane-Saulnier MS760A Paris and a Fouga CM175 Zephyr later that day. 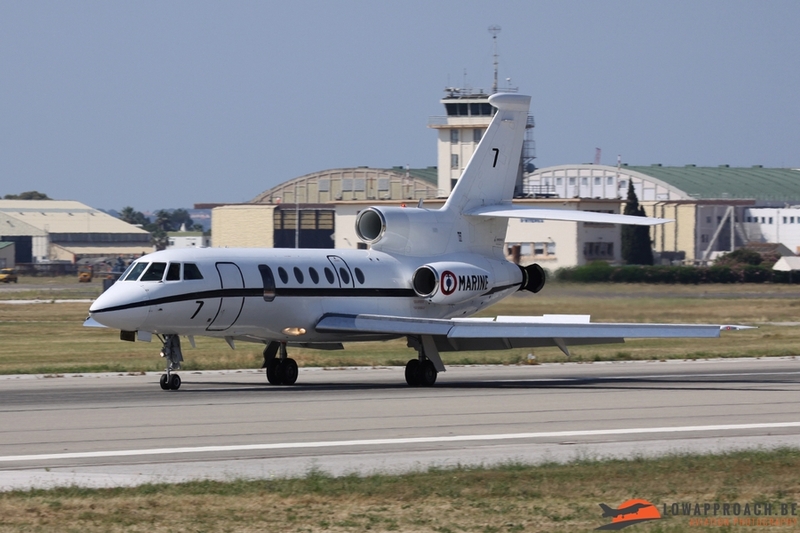 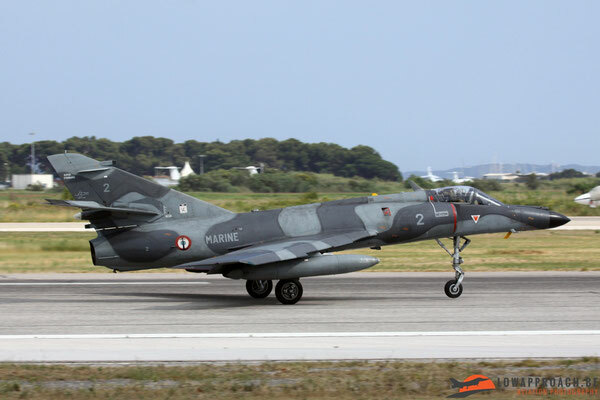 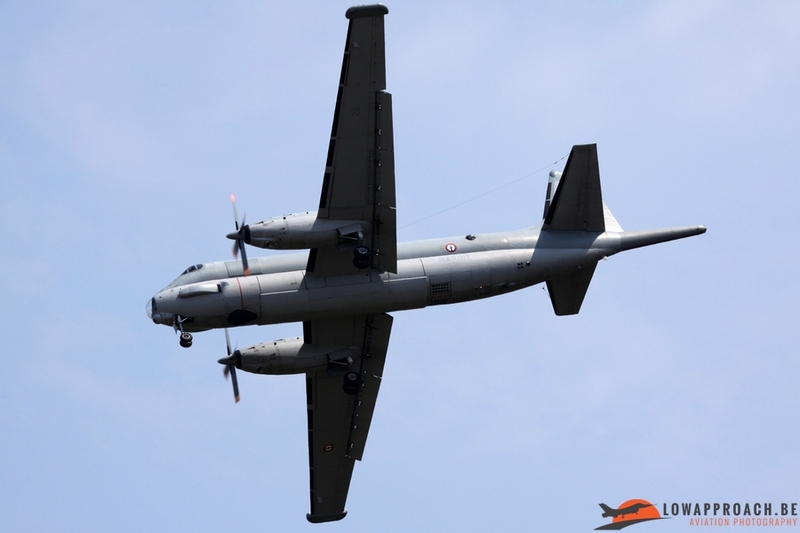 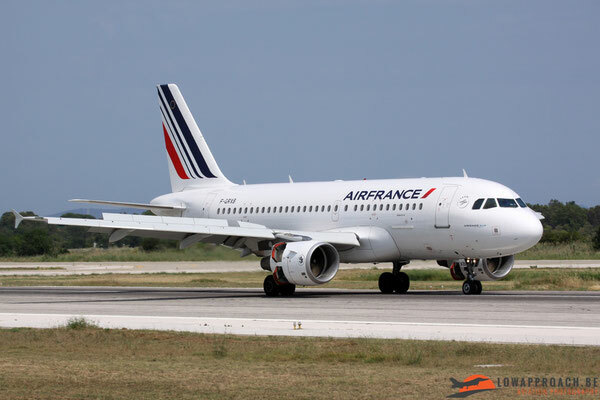 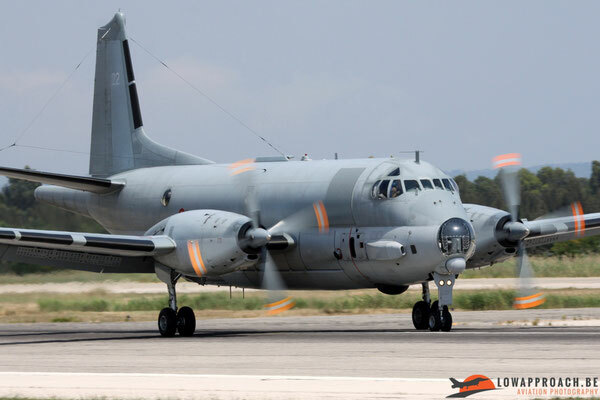 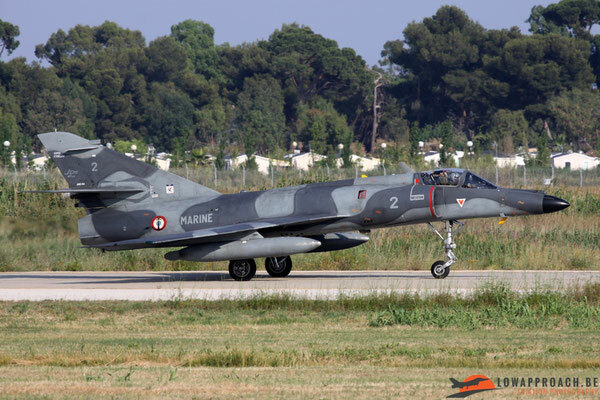 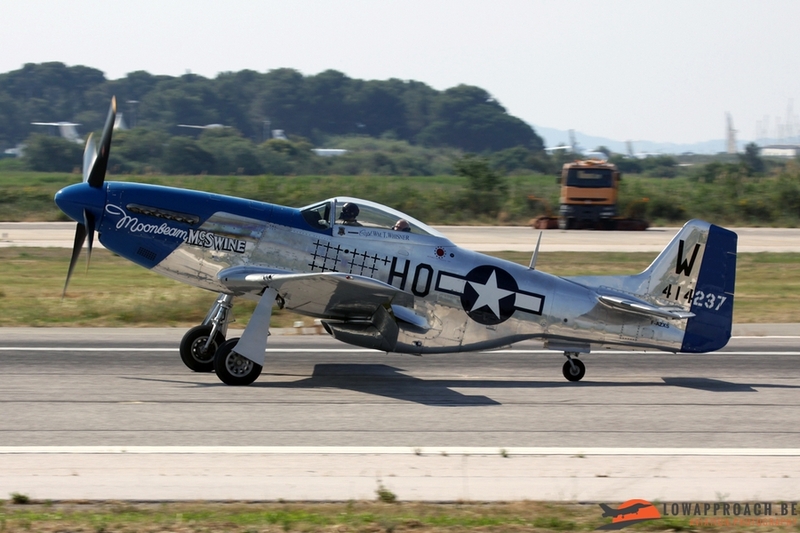 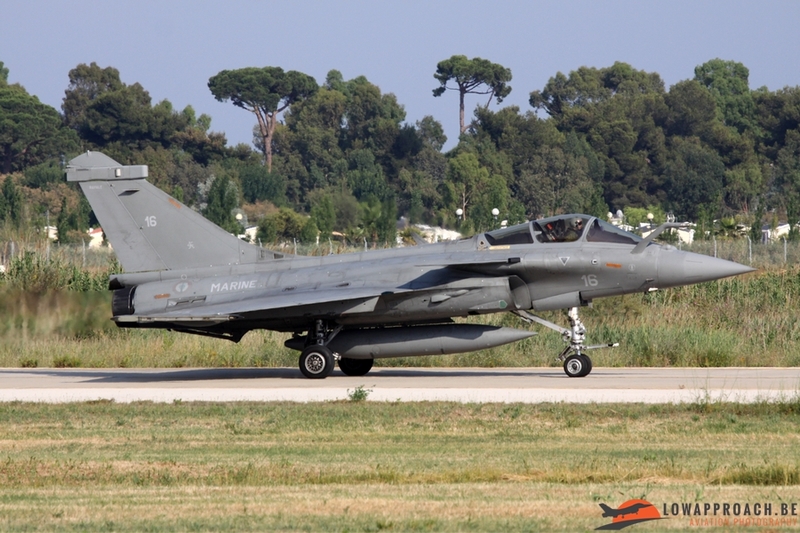 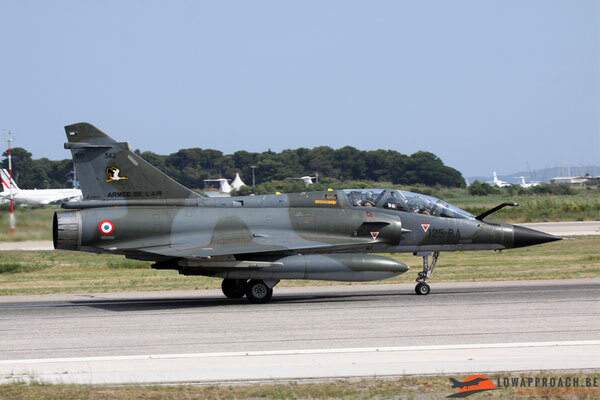 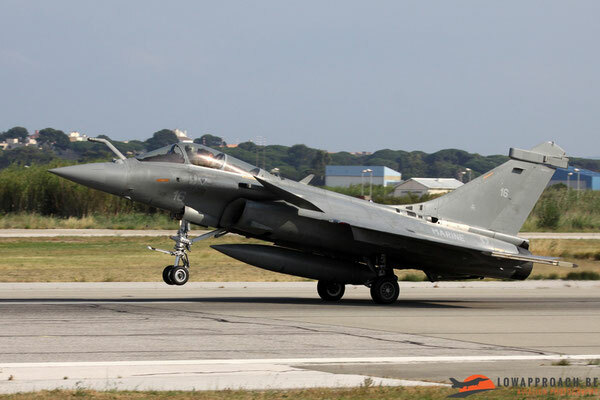 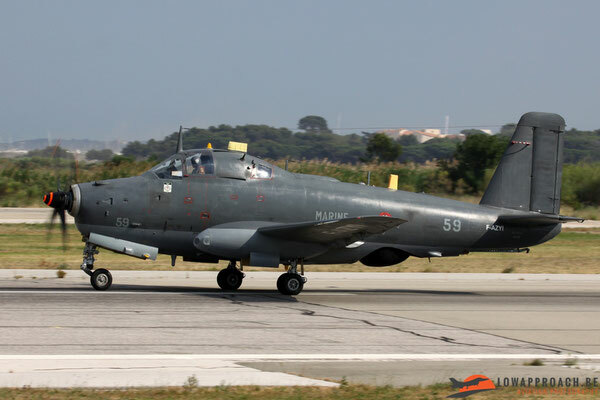 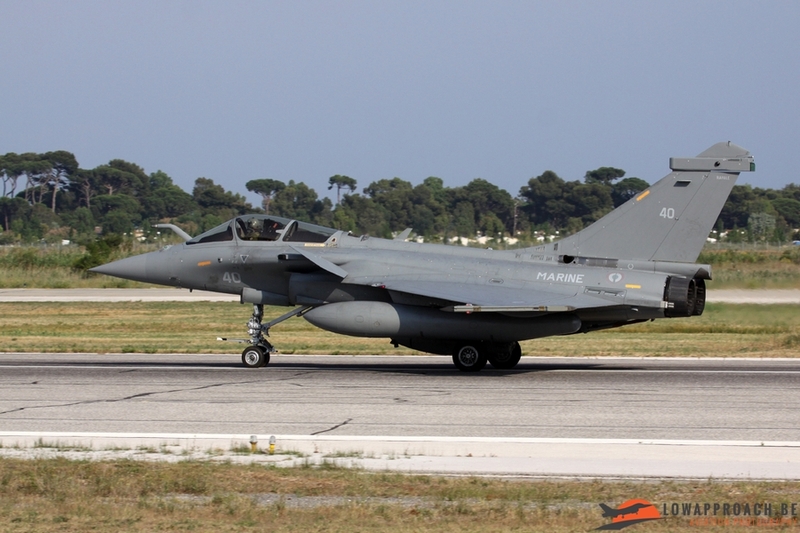 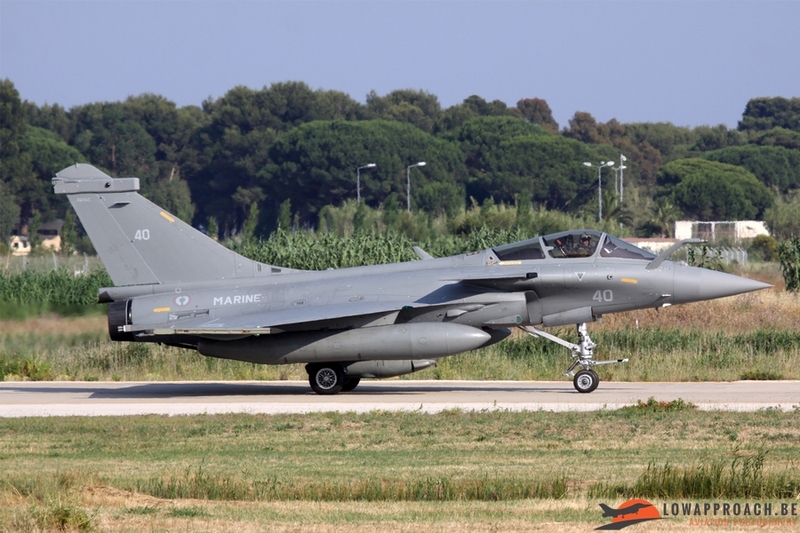 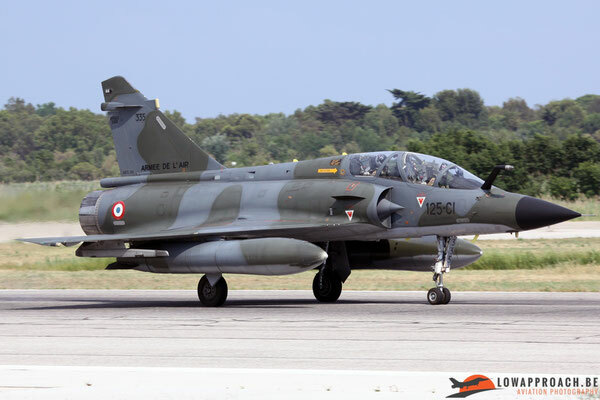 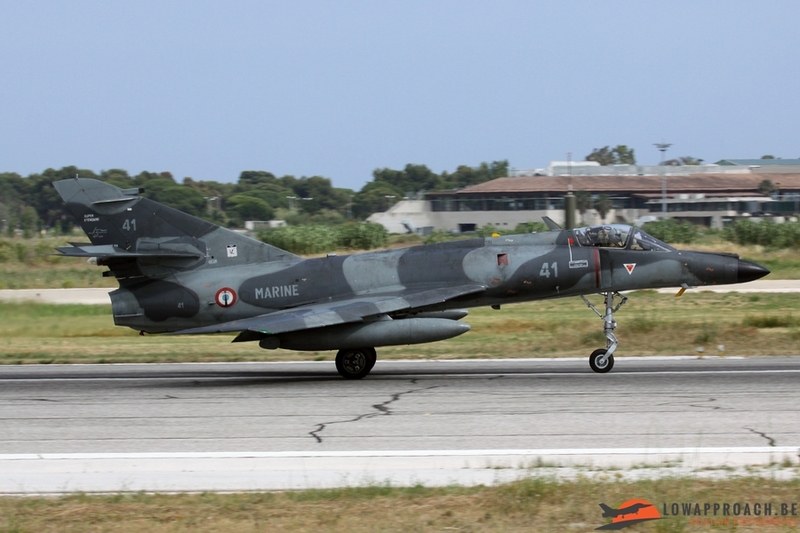 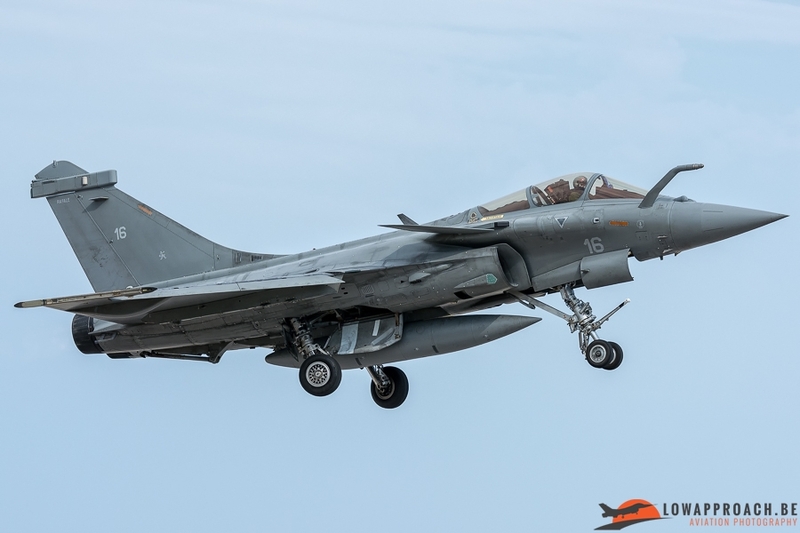 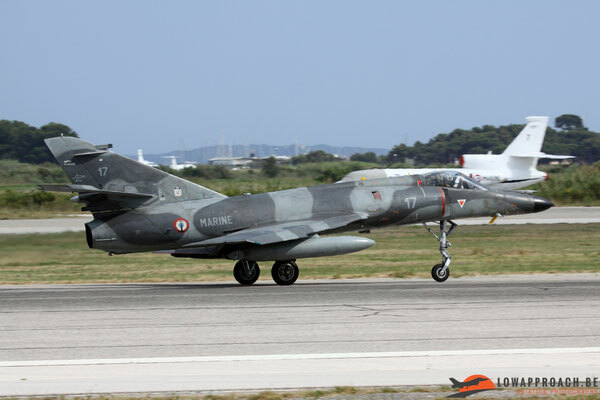 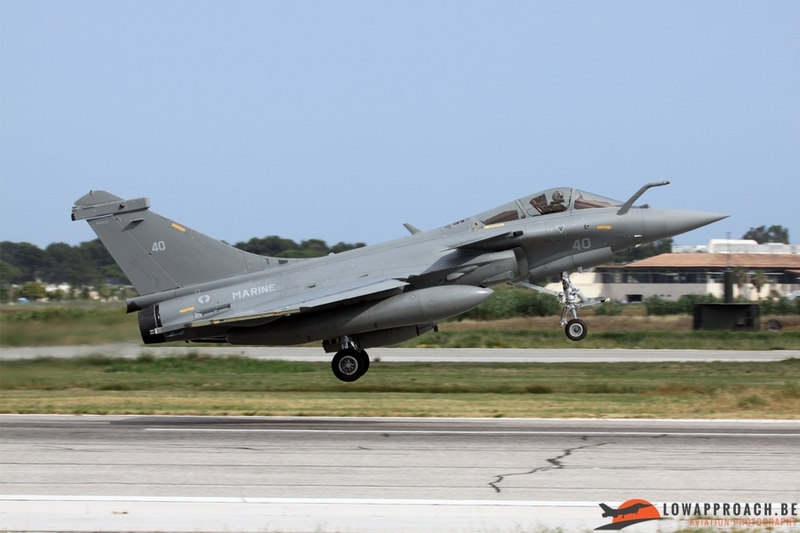 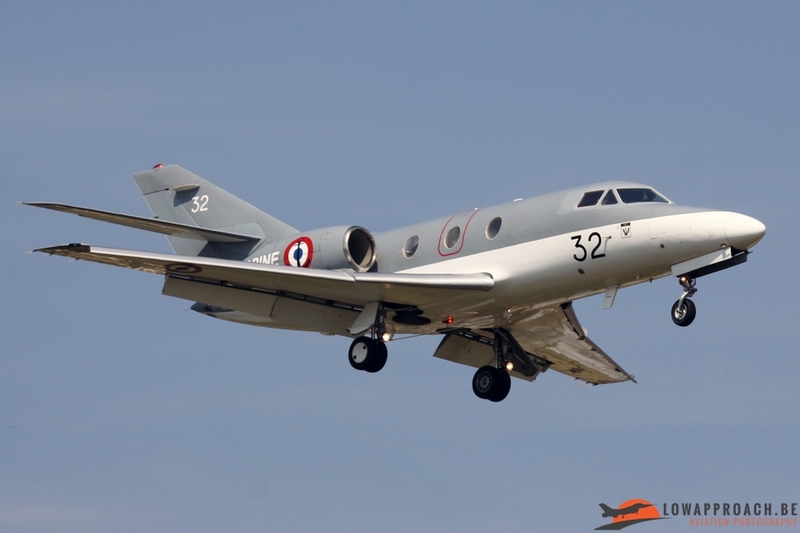 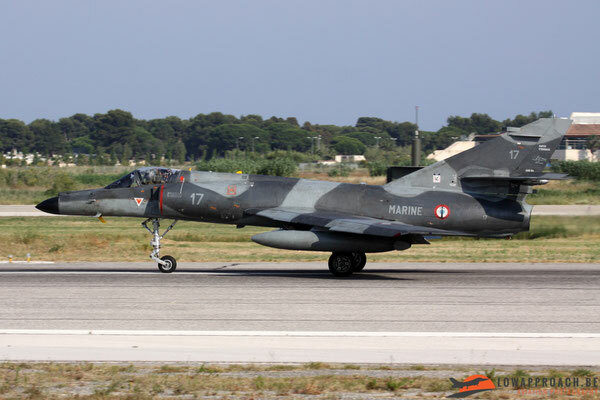 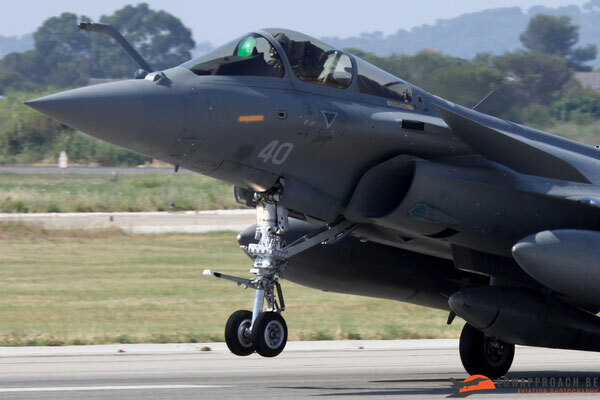 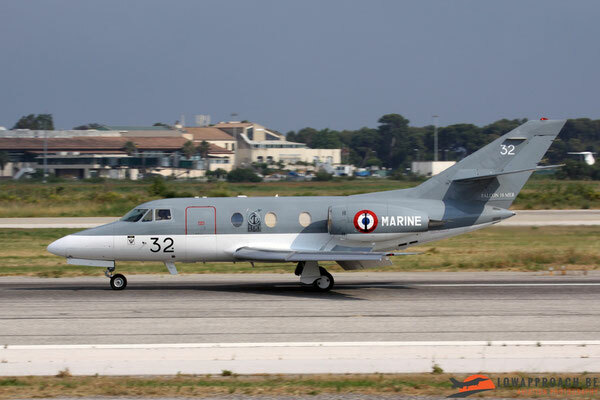 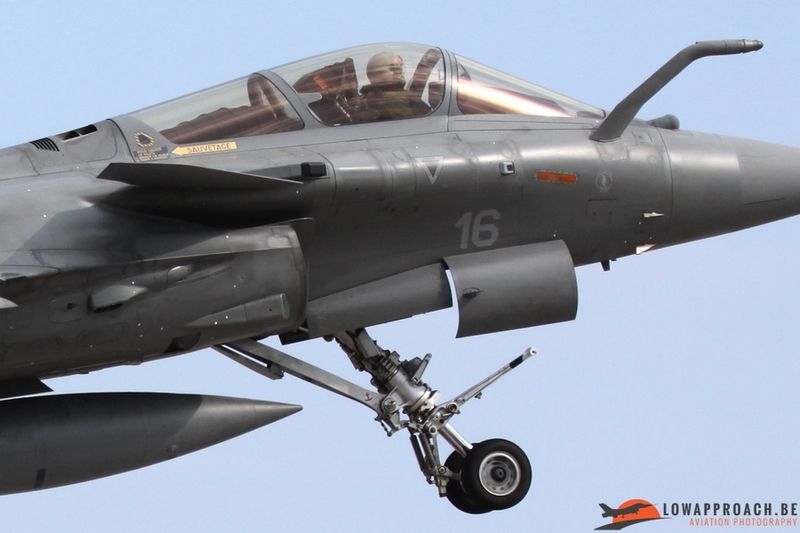 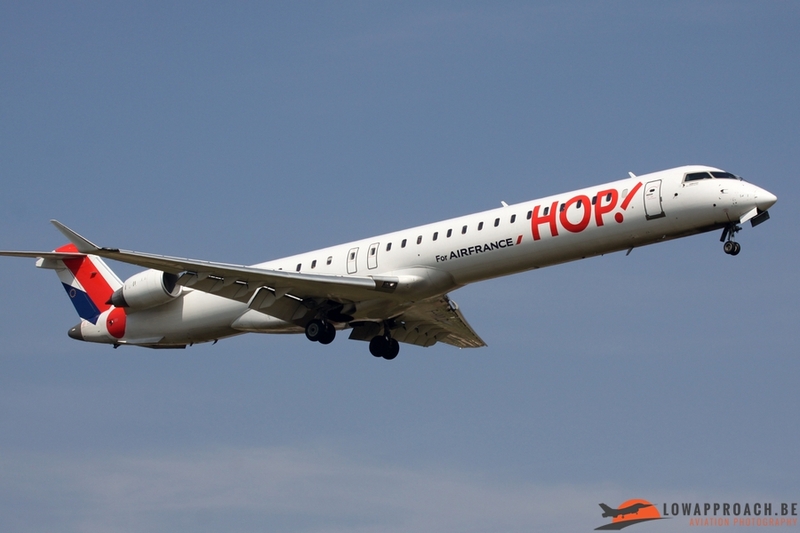 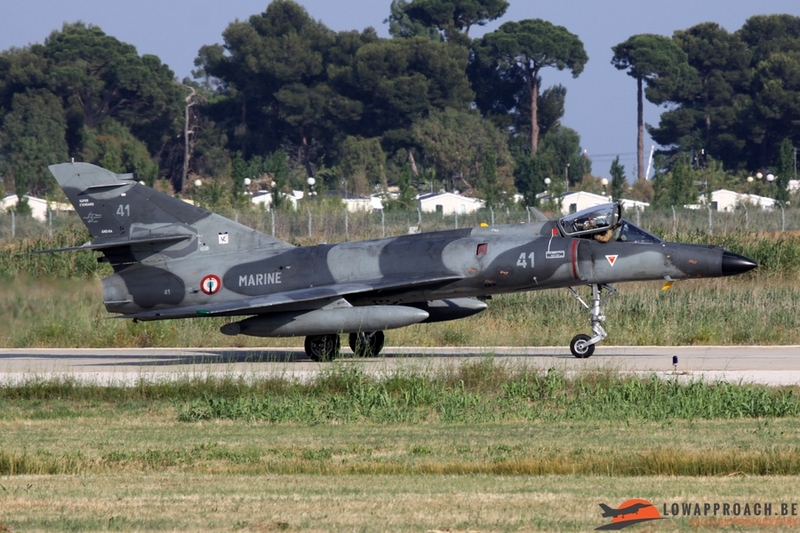 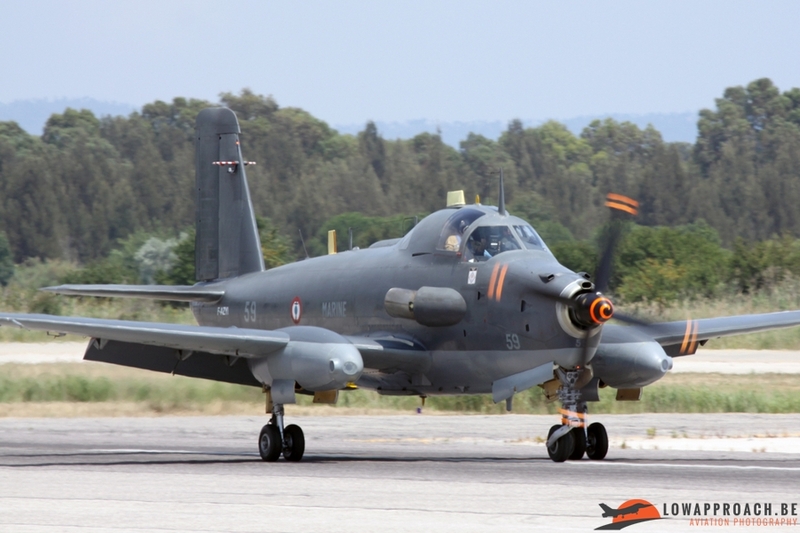 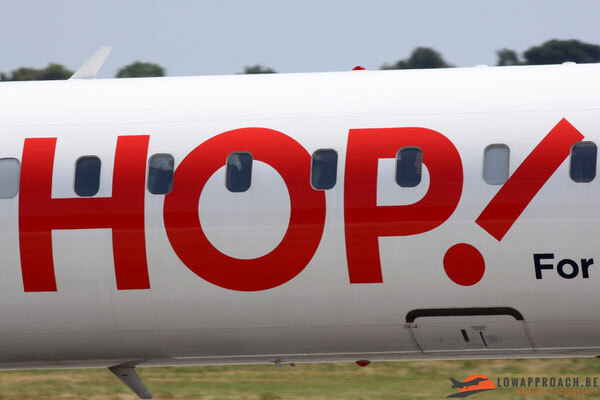 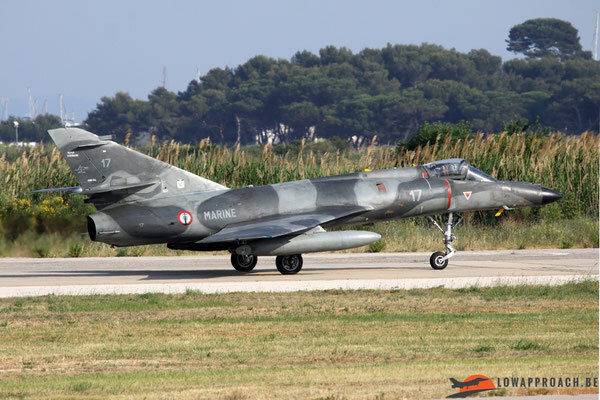 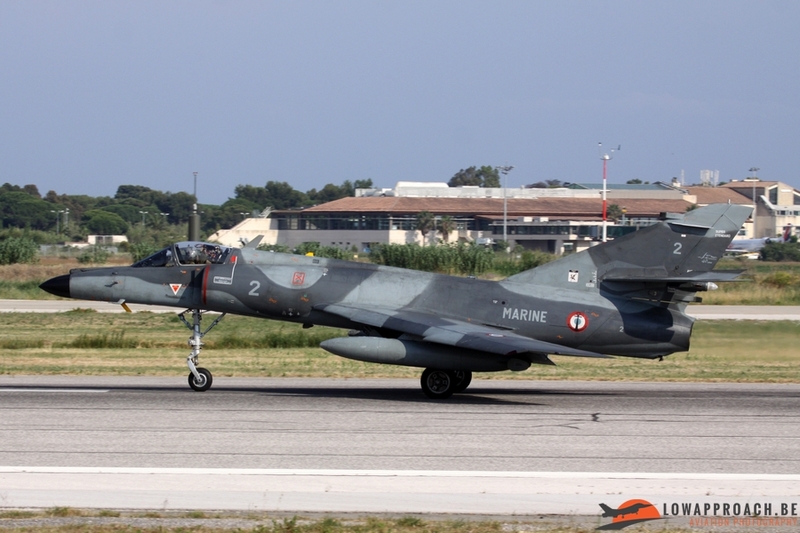 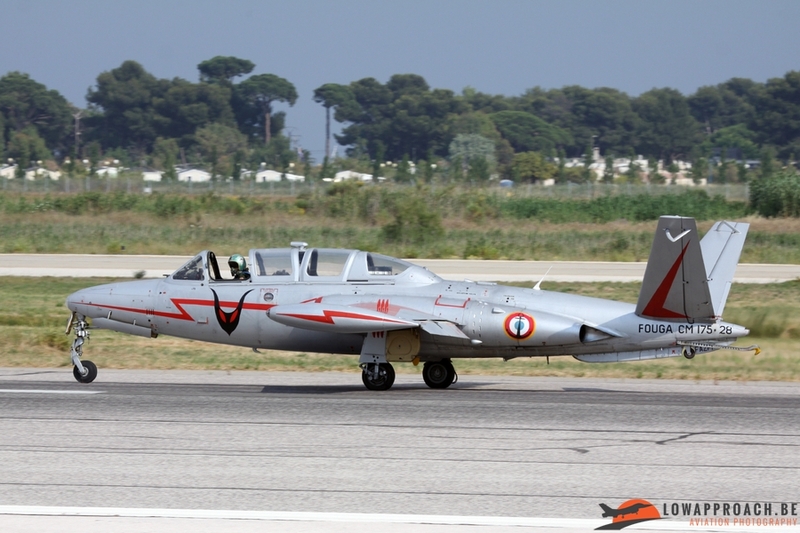 Between the military aircrafts also some civil charters from Air France and HOP arrived and departed from the Aéroport de Toulon-Hyères Le Palyvestre. In the afternoon I drove back to the mount where also many residents of the surrounding communities and campsites watched the upcoming rehearsals. 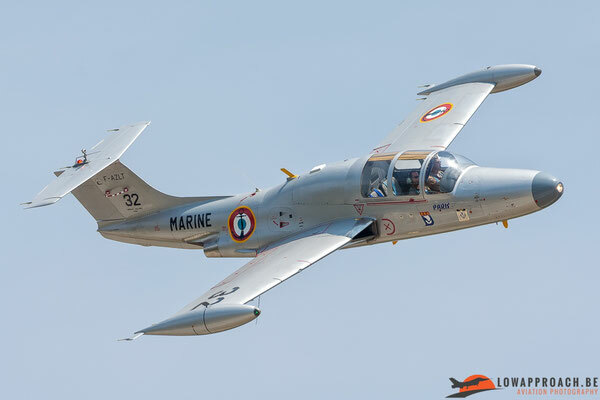 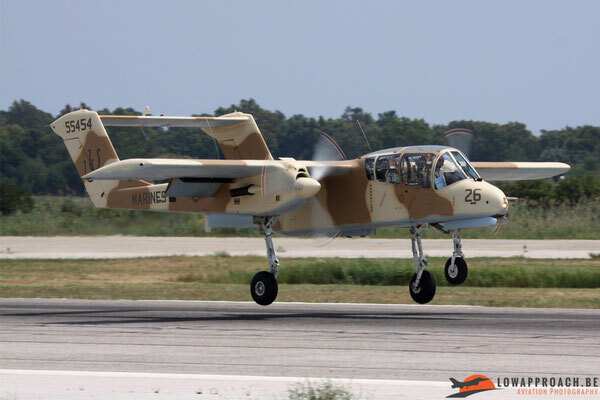 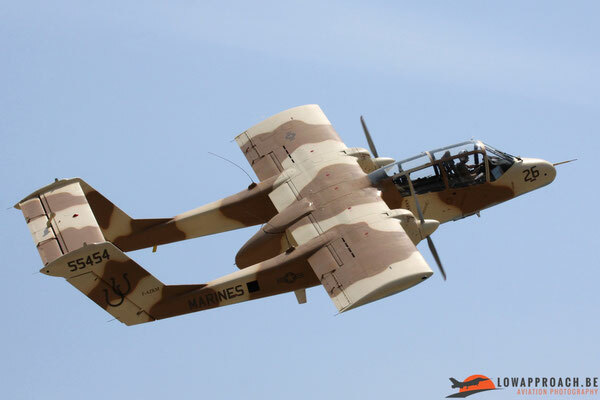 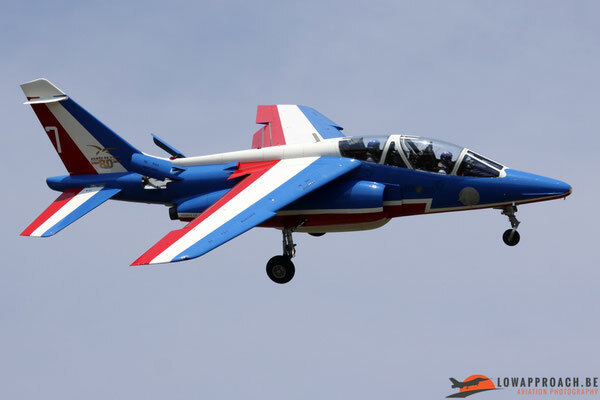 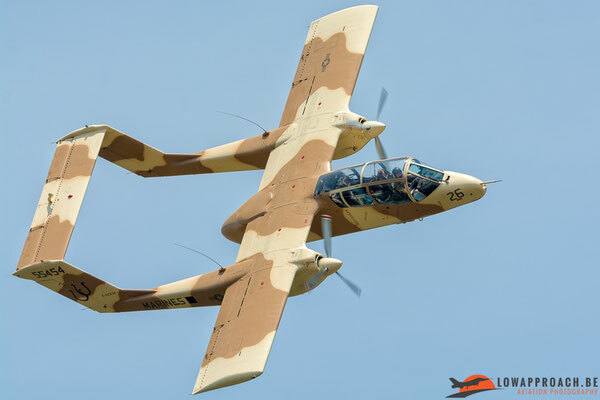 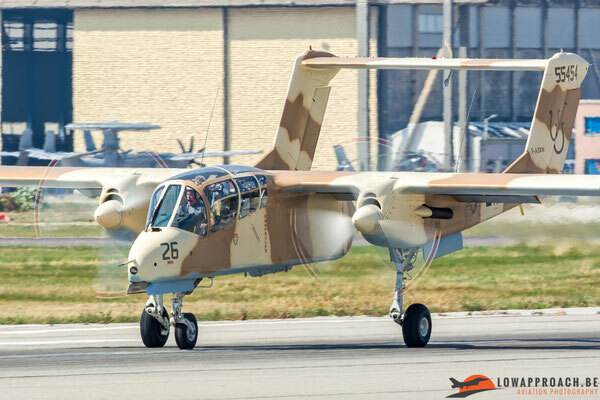 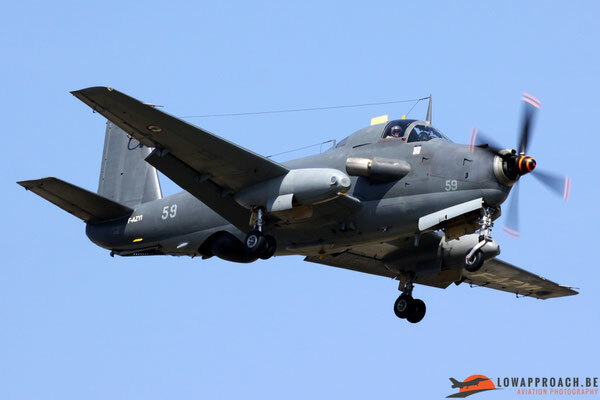 These rehearsals started with a display from former Luftwaffe Rockwell OV10B Bronco ‘99+24’ owned by the Musée Européen de l’Aviation de Chasse located in Montelimar followed by displays from a Morane-Saulnier MS760A Paris, Fouga CM175 Zephyr, Br1050 Alizé and a Breguet Atlantic 2, used for maritime patrol. 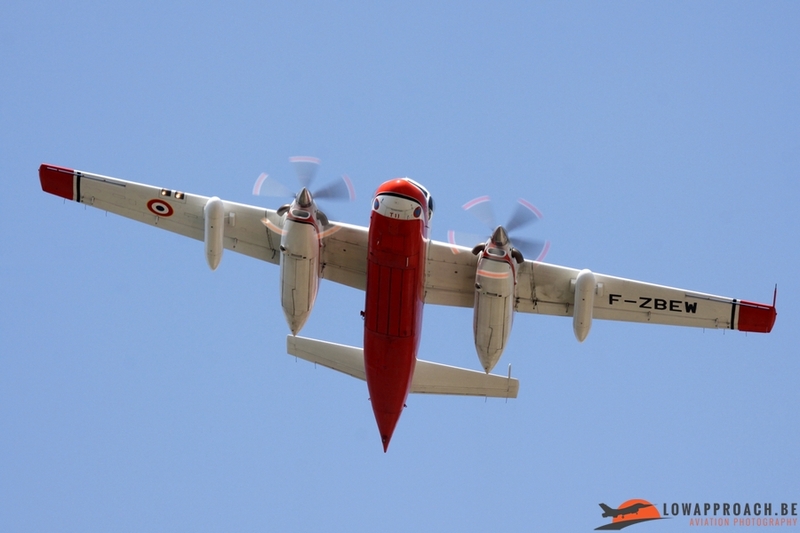 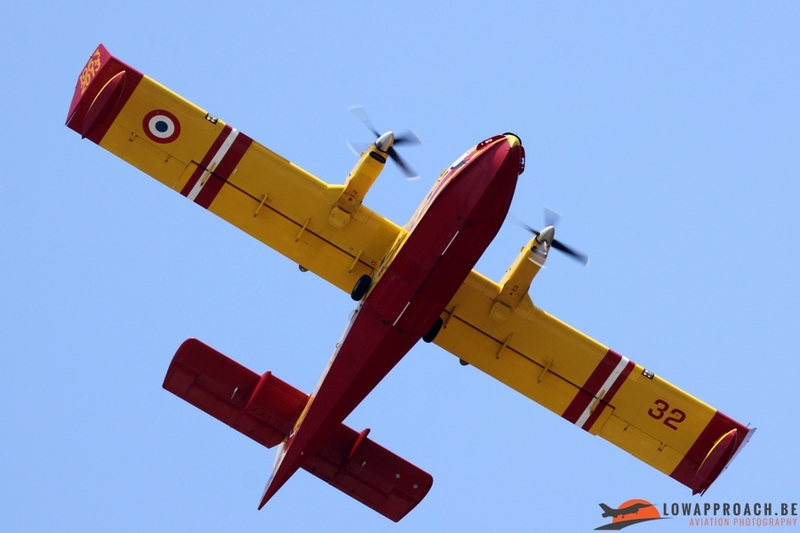 One of the highlights was for sure the participation of three different waterbombers of the Sécurité Civile which all made some waterdrops over the Base Navale and flew all a marvellous display afterwards. 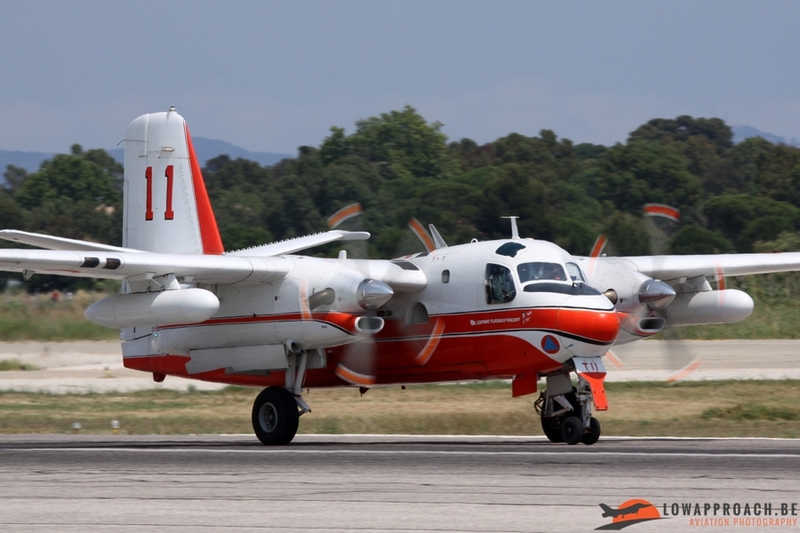 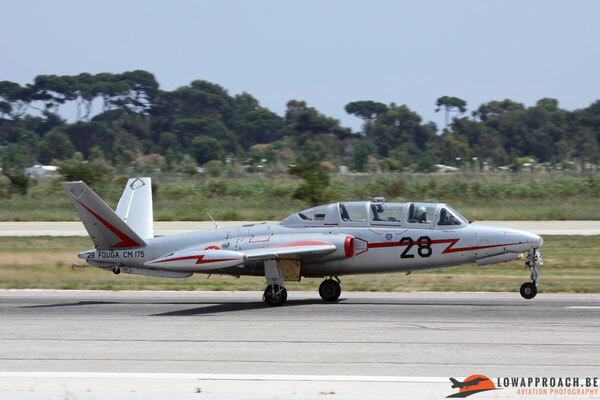 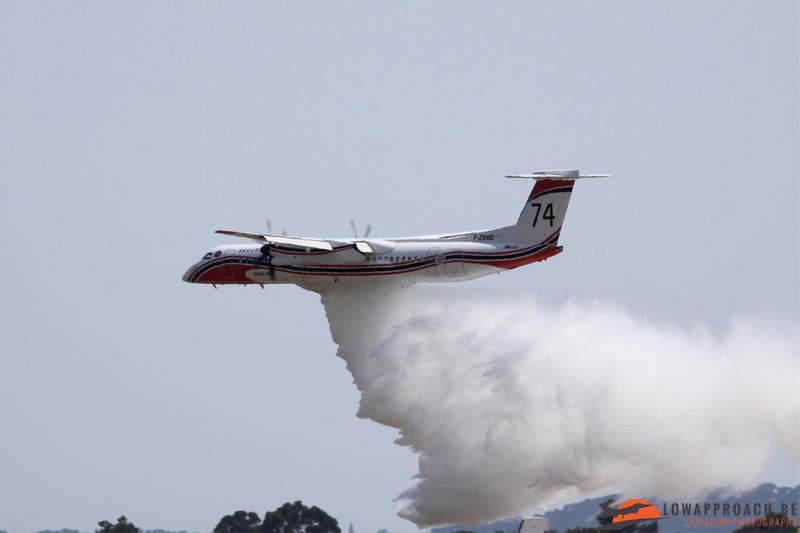 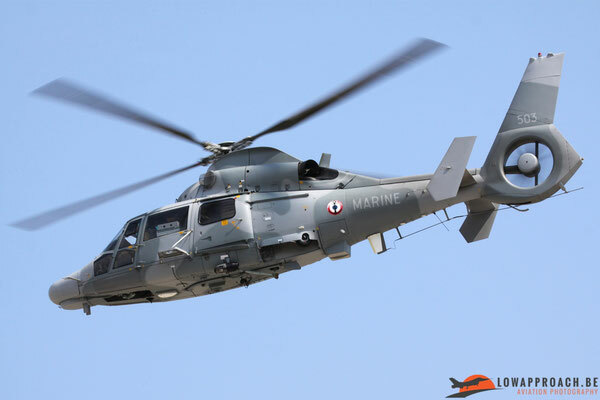 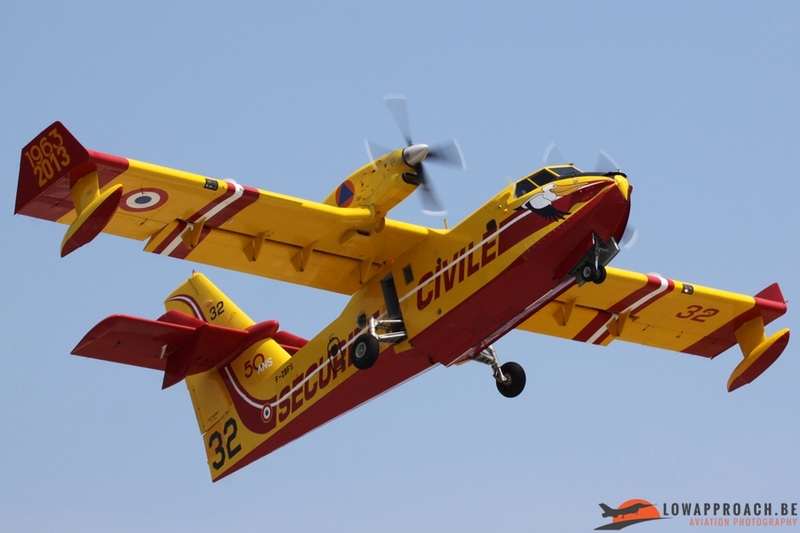 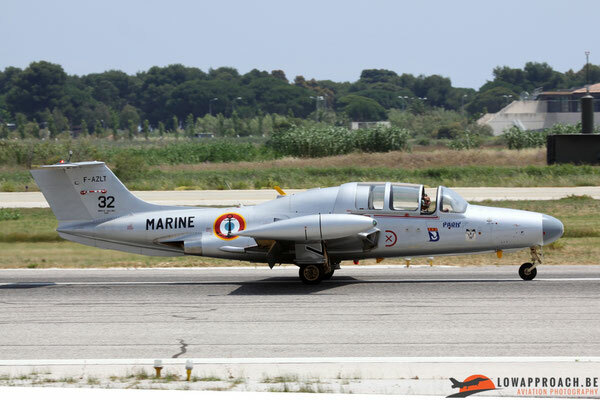 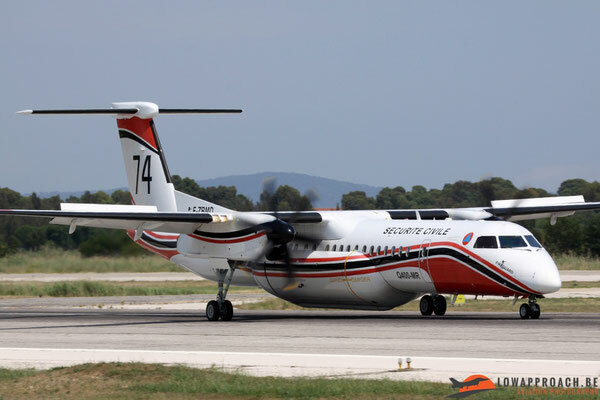 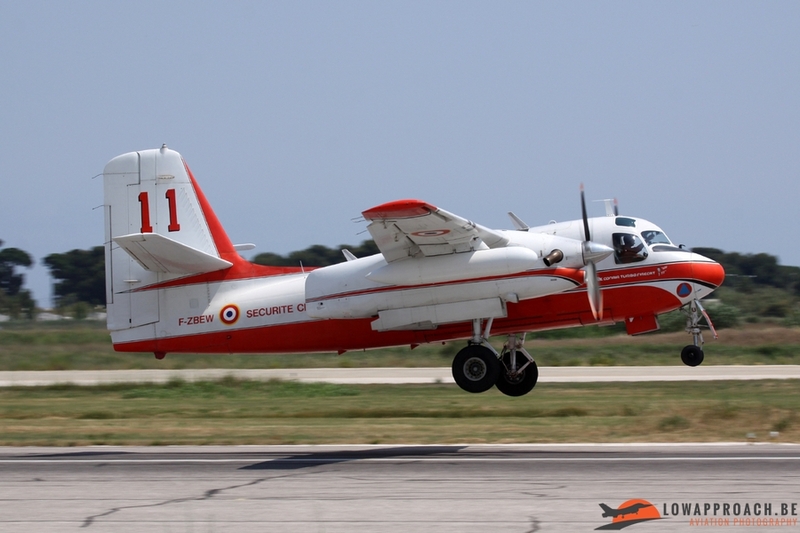 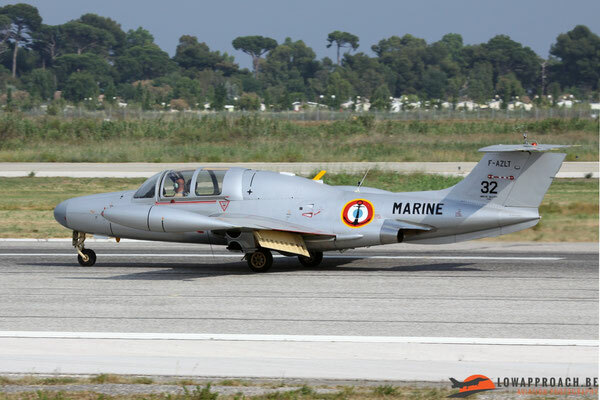 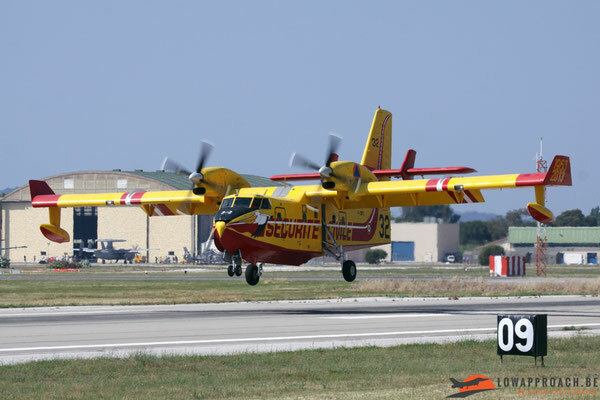 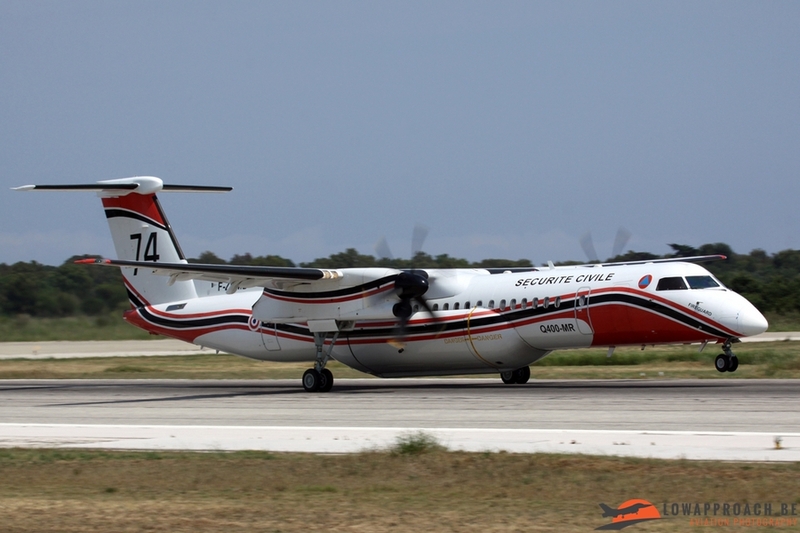 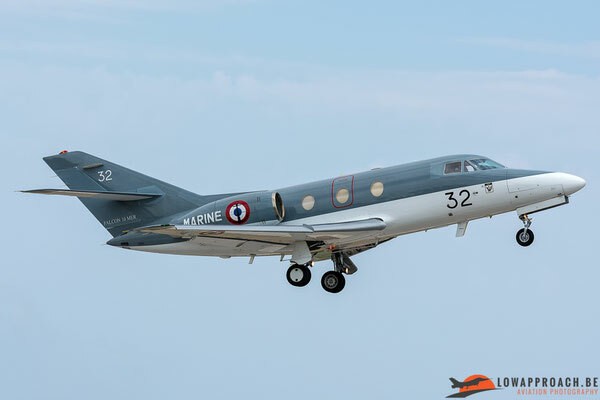 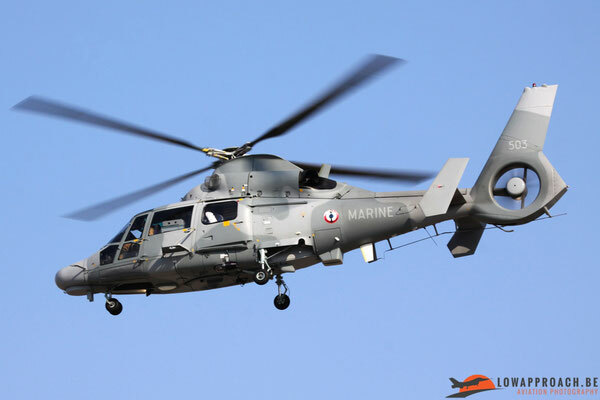 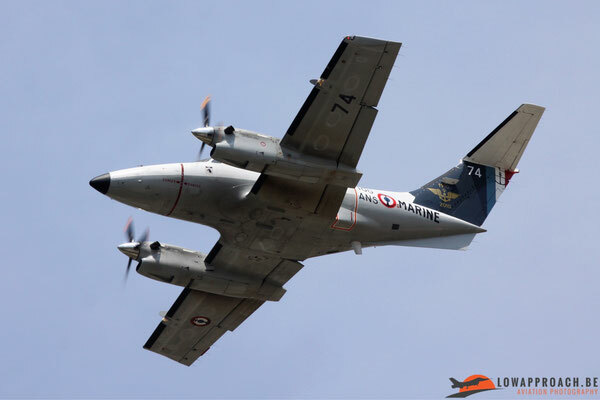 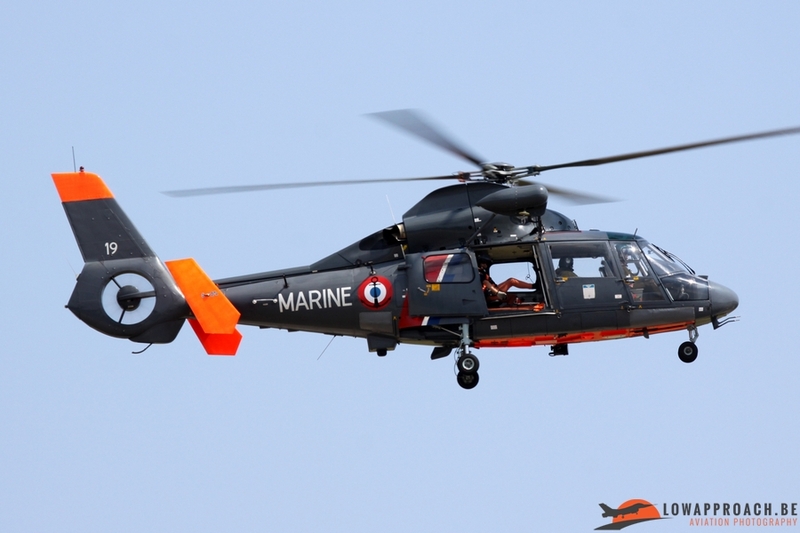 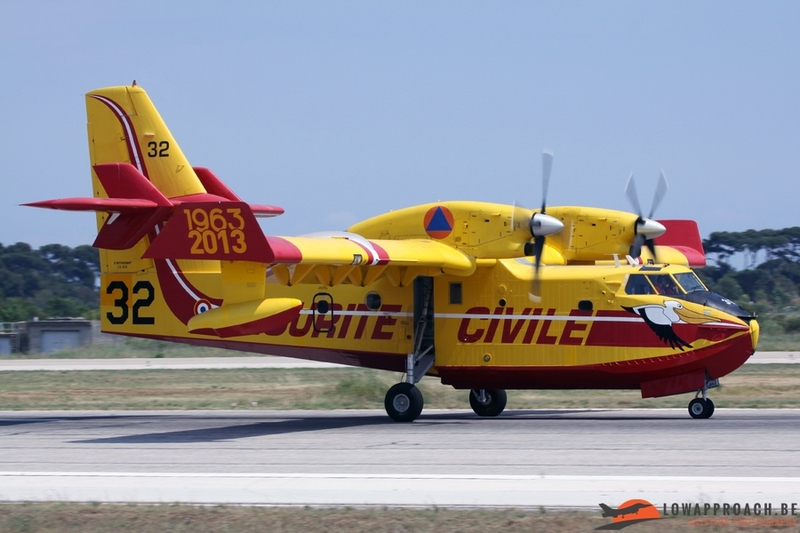 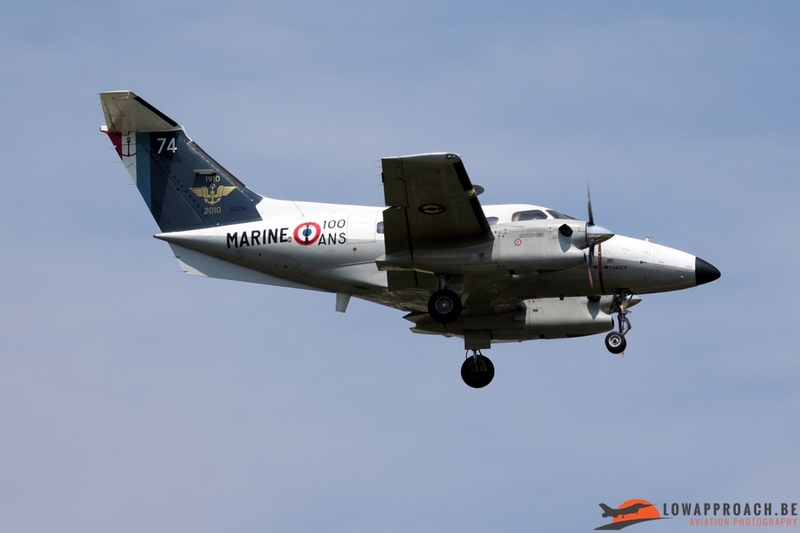 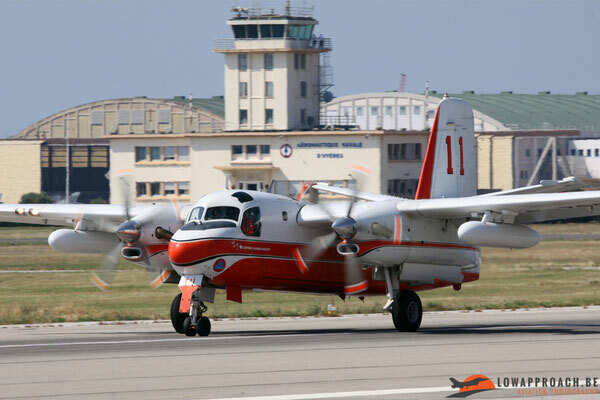 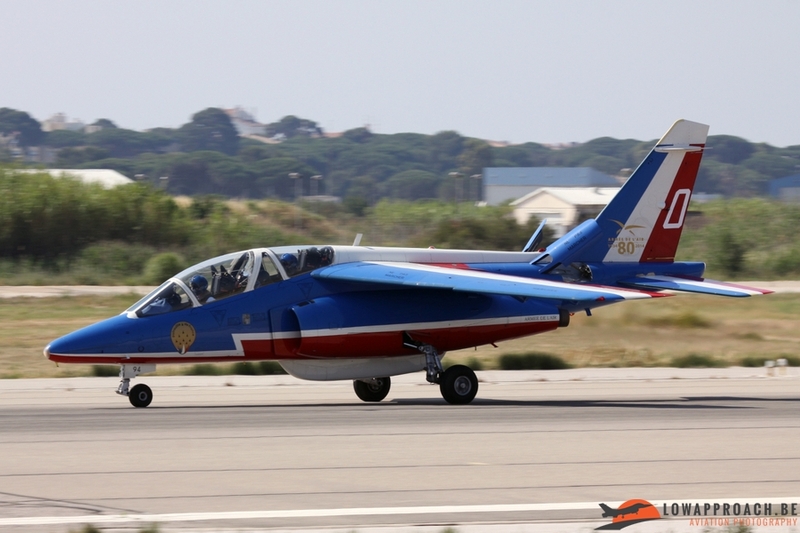 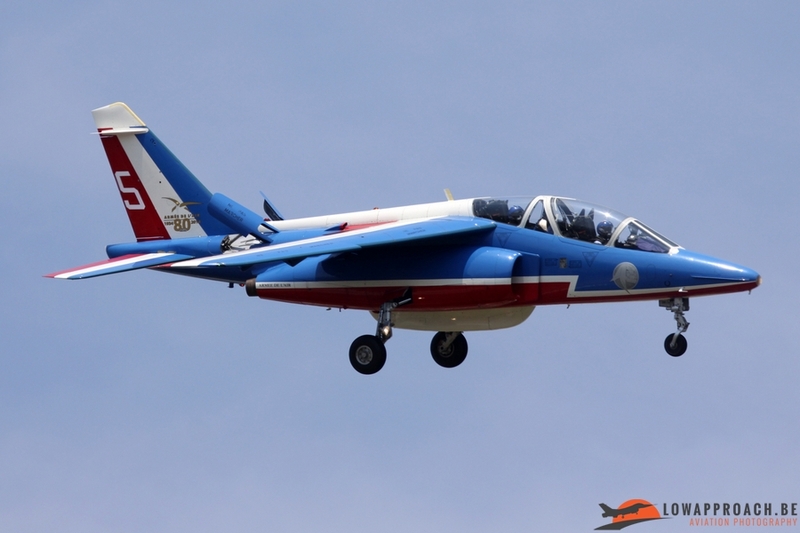 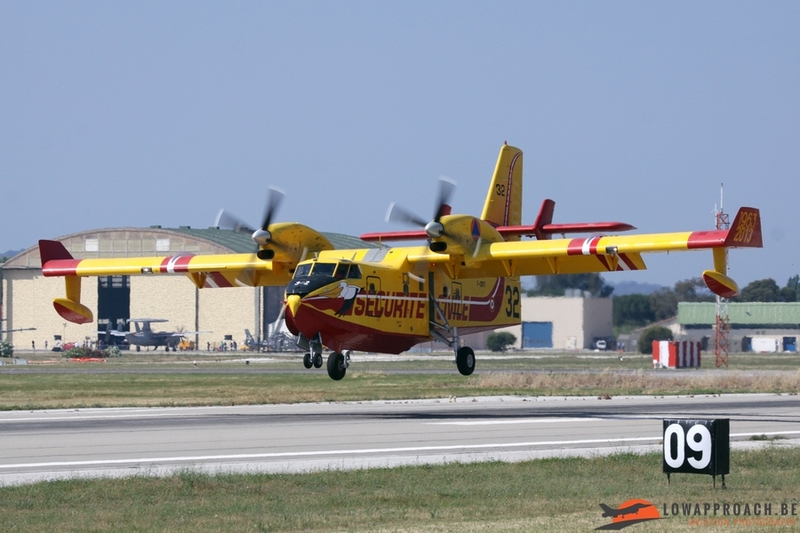 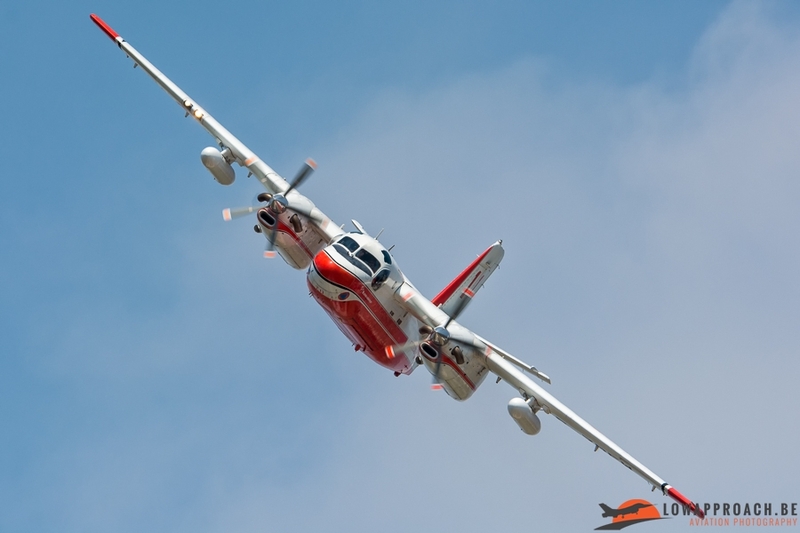 After the Canadair CL415, Grumman S2 Firecat and Q400-MR landed safely the French Marine displayed the four different helicopters that they have in their inventory. 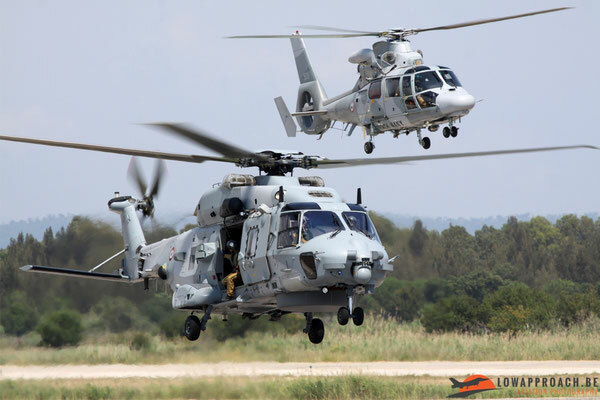 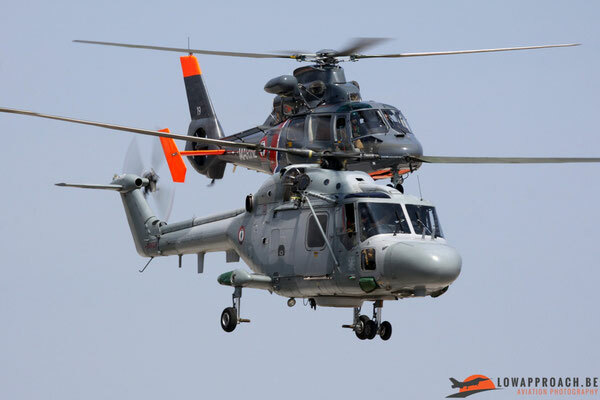 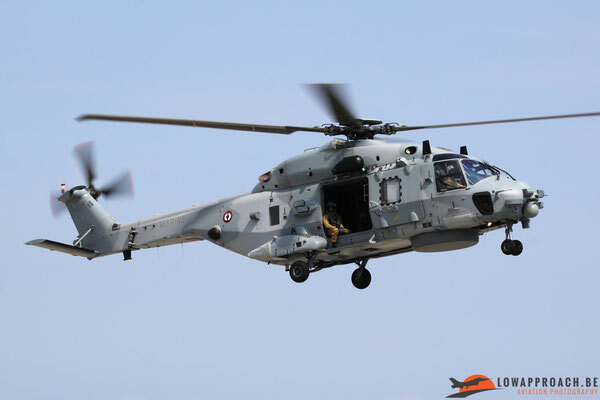 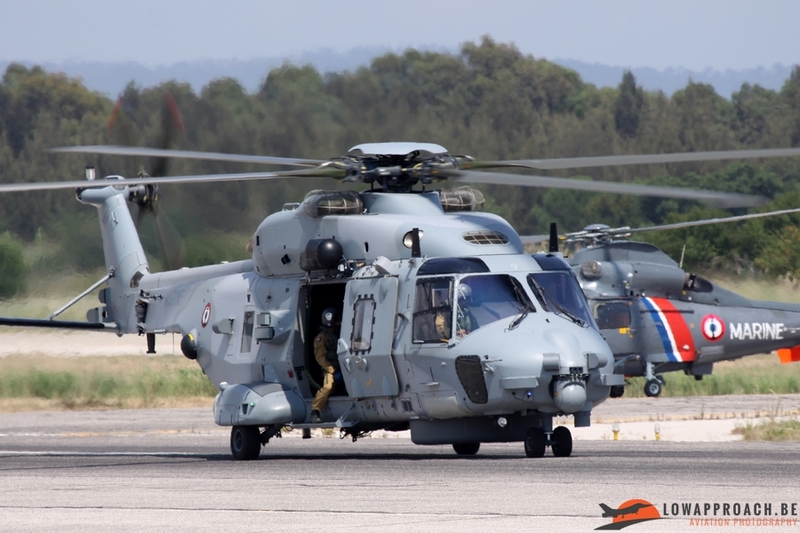 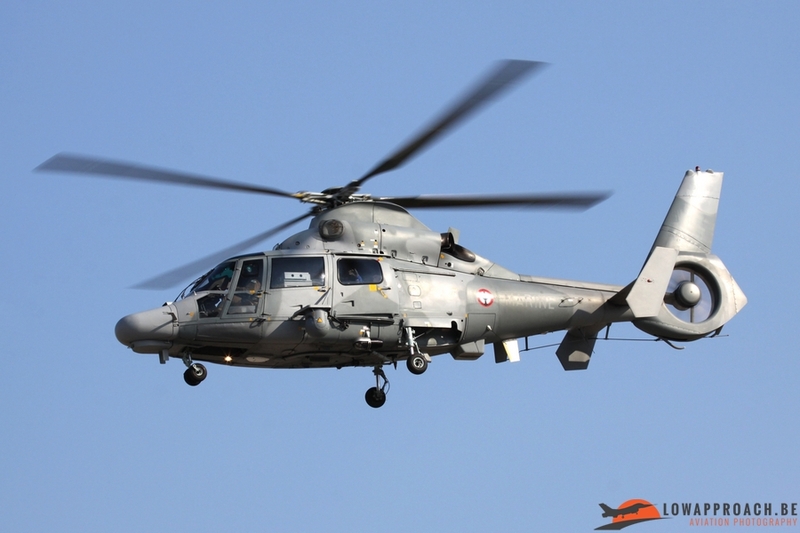 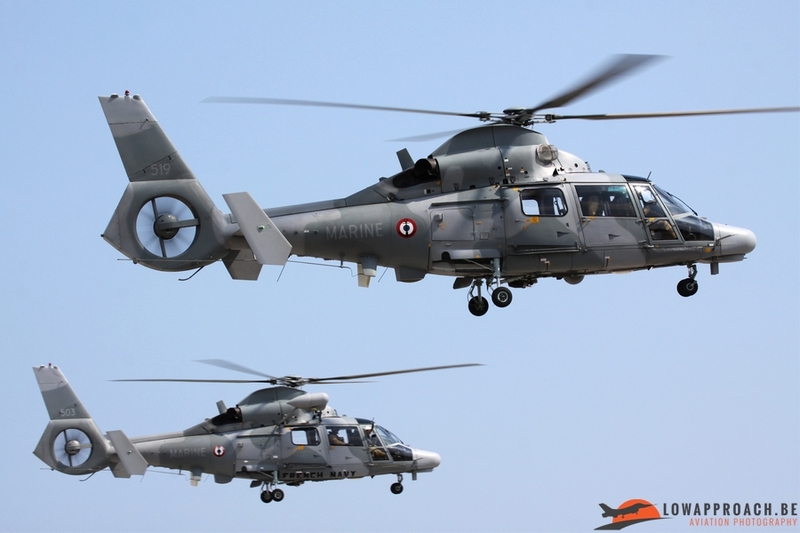 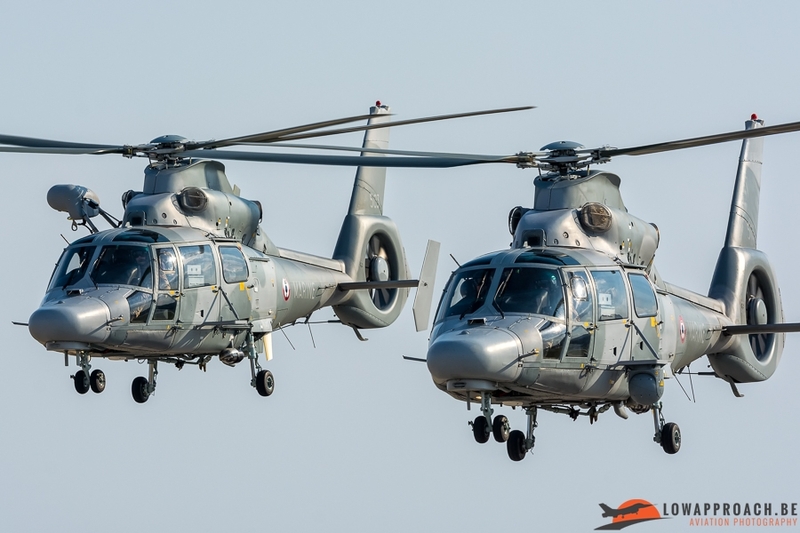 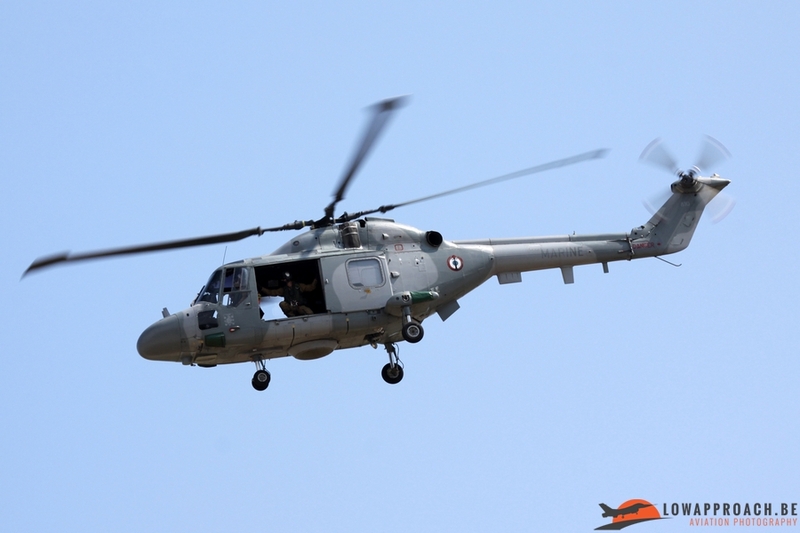 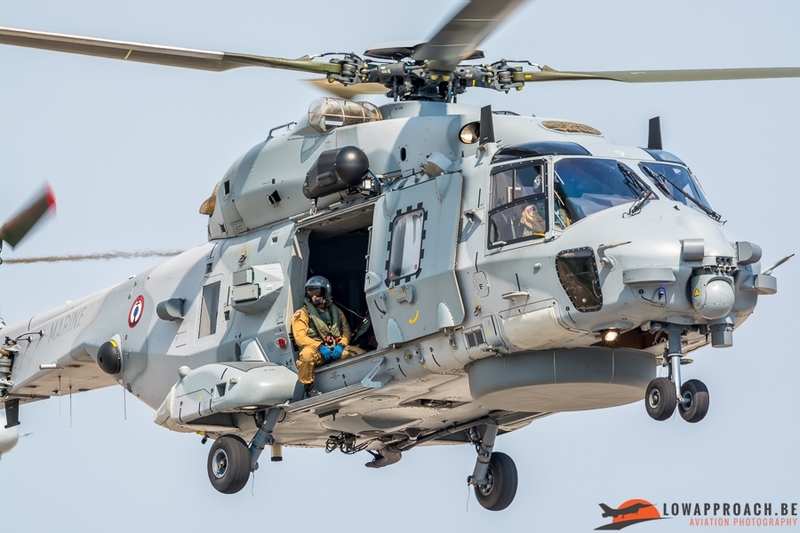 Five Helicopters, a NH-90 NFH, Lynx HAS4(FN), SA365N Dauphin and two AS565SA Panthers departed in a formation from the main runway to fly their aerial display near the public area. 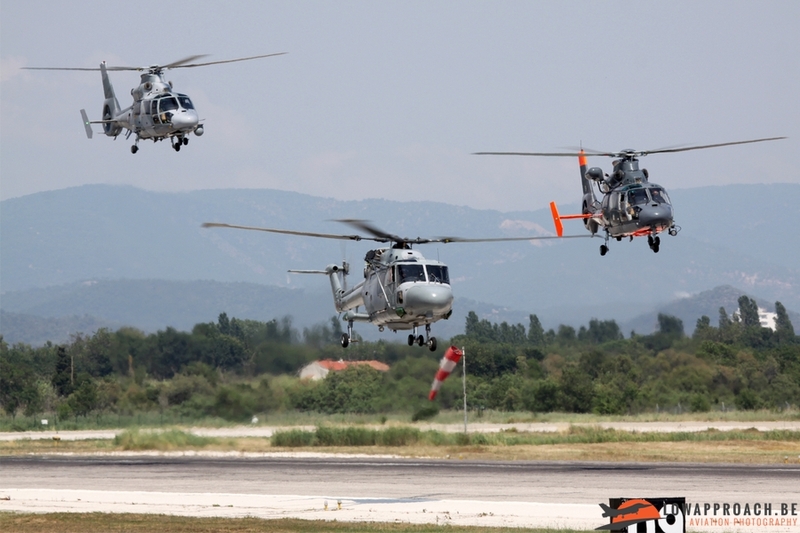 After their formation flight all the helicopters also flew a solo display and all passed us at the mount before landing. 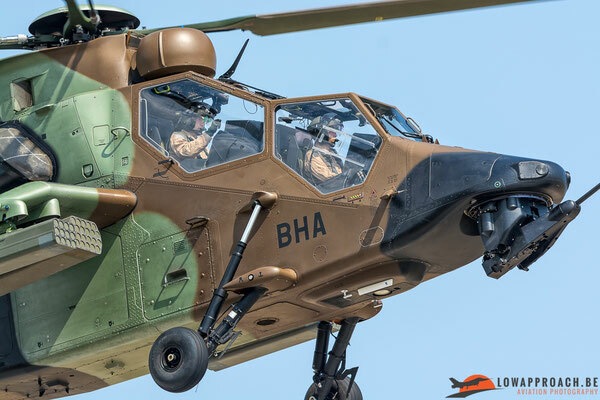 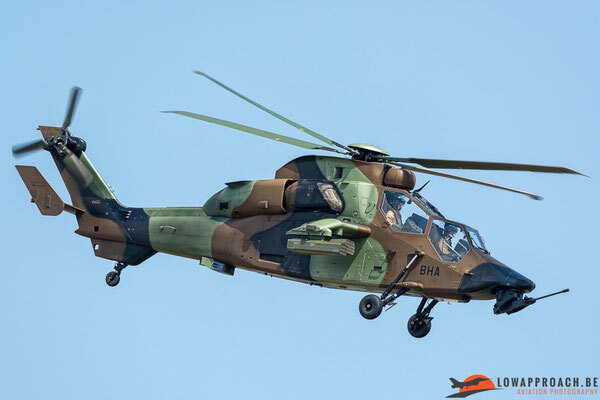 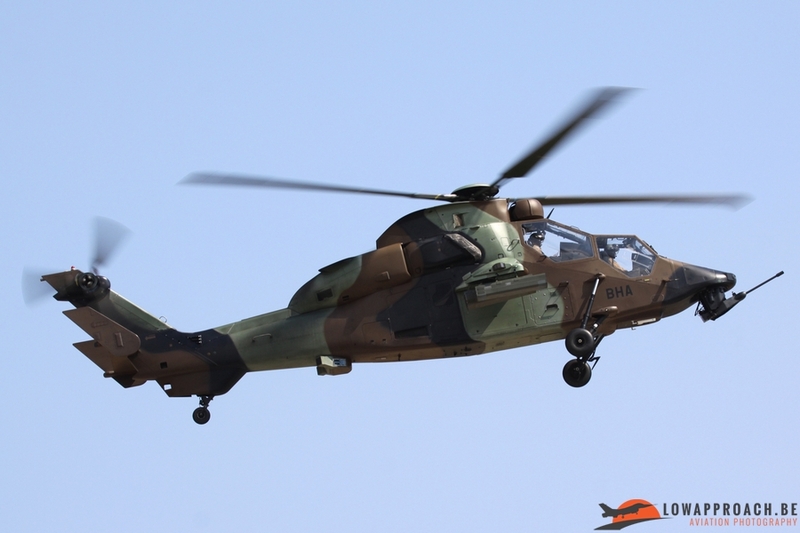 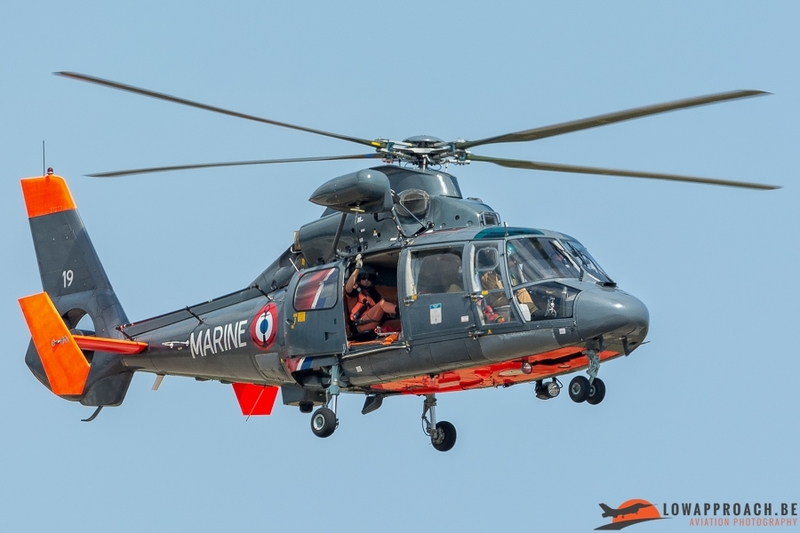 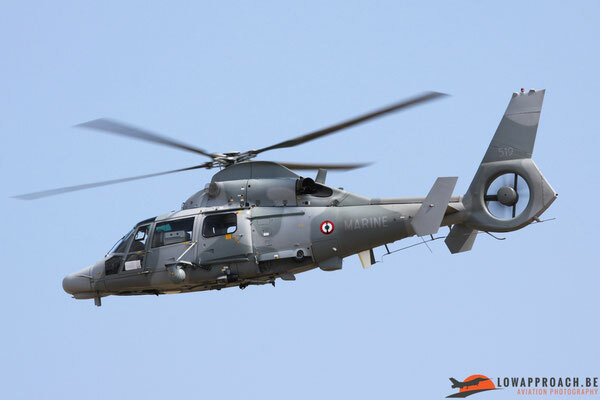 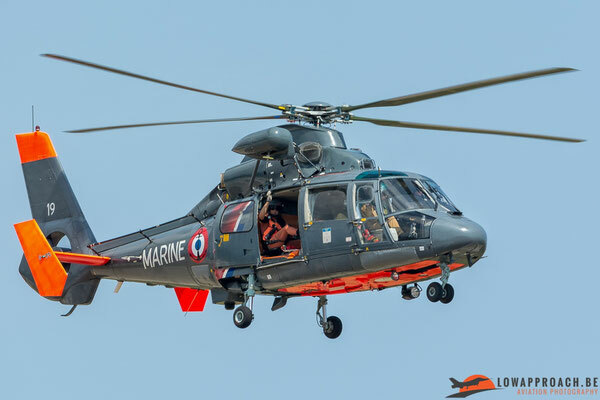 The last helicopter which performed a beautiful display was a EC665 Tiger HAP from the Franco-German Tiger (Tiger EFA) crew training school of Le Luc/Le Cannet-des-Maures. 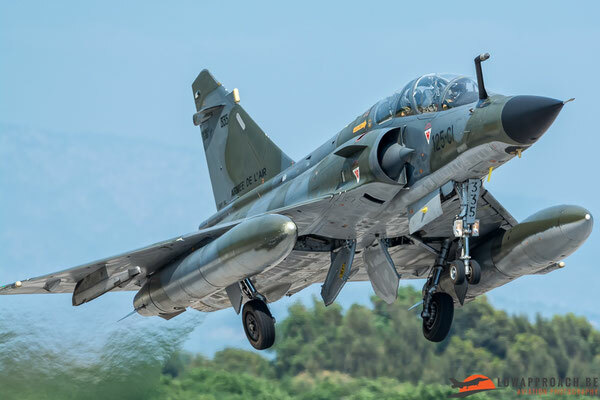 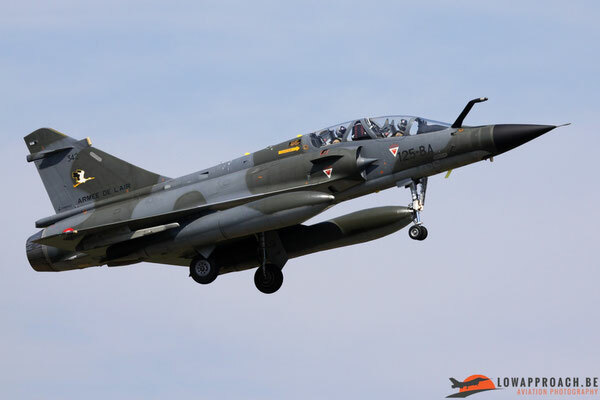 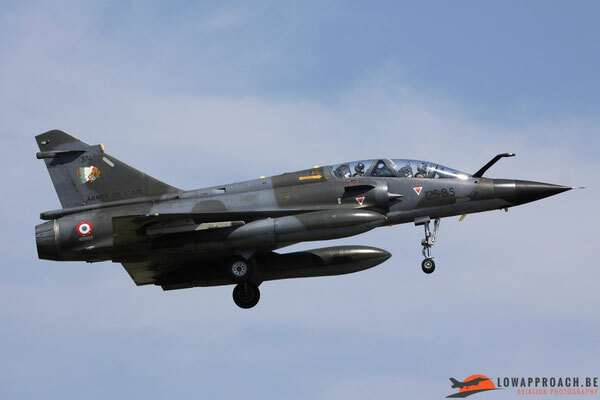 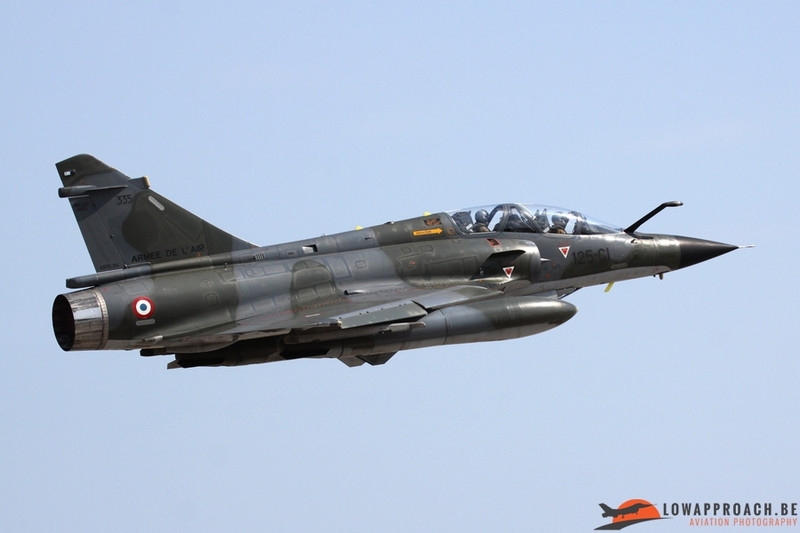 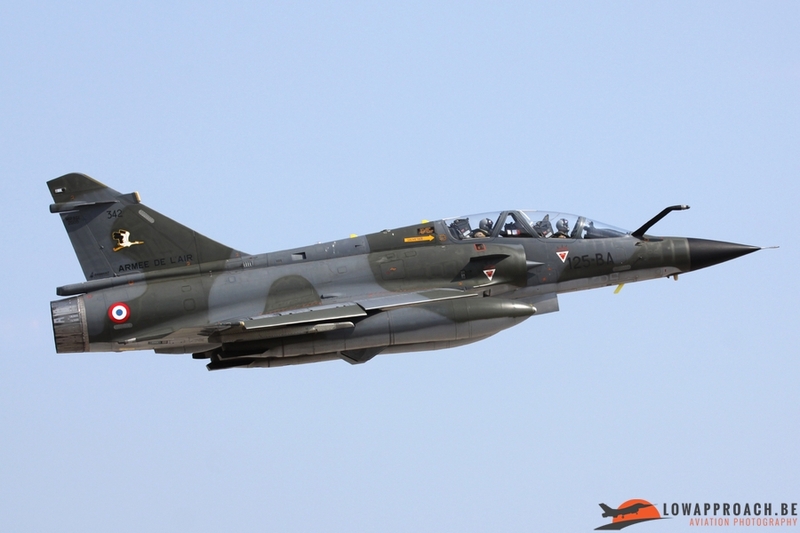 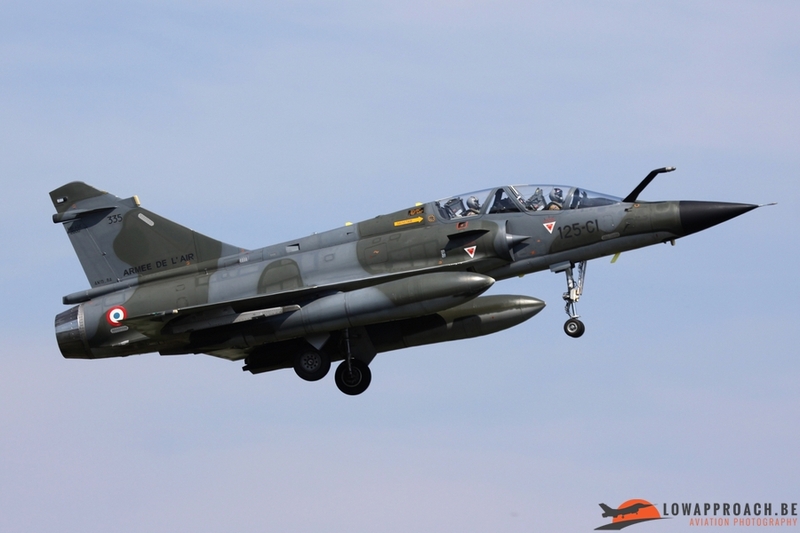 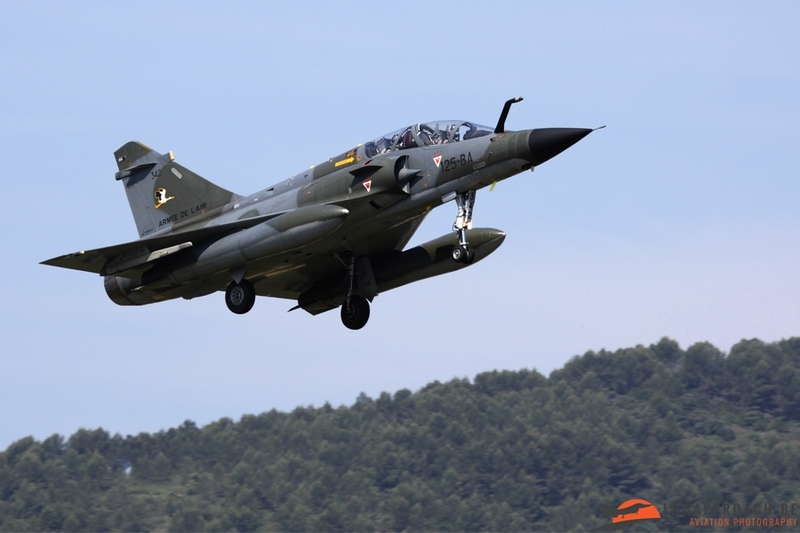 Not common to see at an air show organized by the Aéronavale are the Mirage 2000N from the Ramex Delta display team, but it was fantastic to see them departing at the runway 05 from a very close distance with their afterburners on. When the Mirages landed a huge queue aircrafts for the final display was already building up on the taxiway towards the beginning of runway 05. 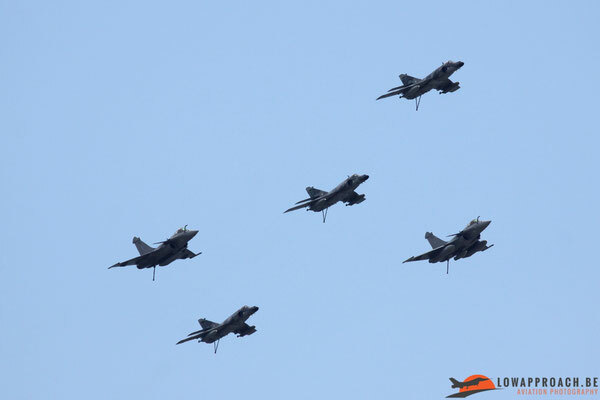 In several minutes ten aircrafts departed. 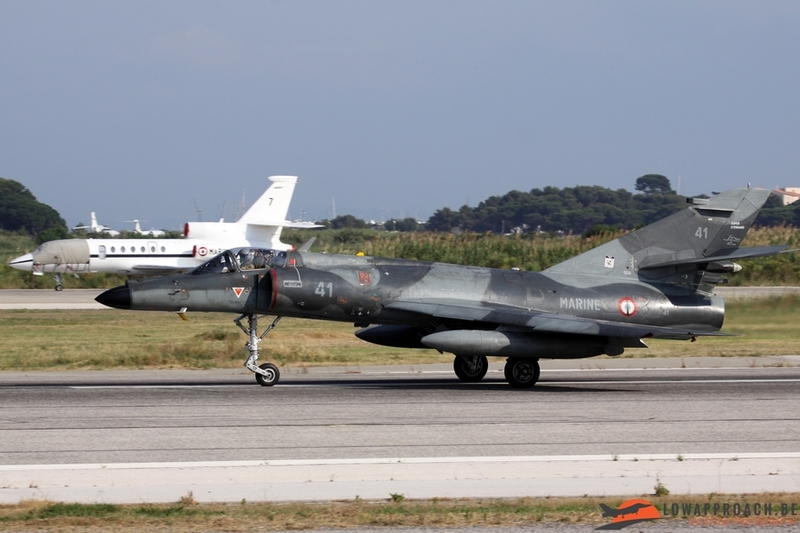 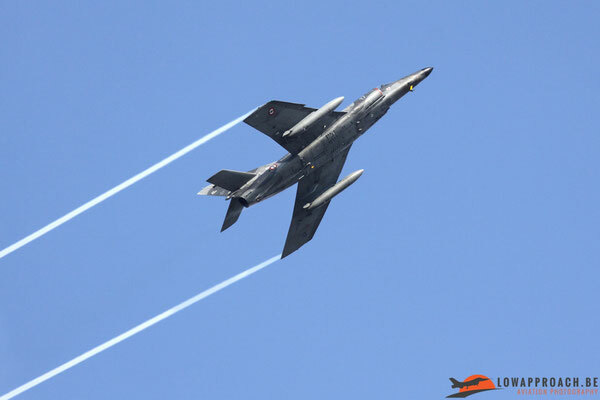 Three Super Etendard Modernisés (SEM) that all had zap’s painted on the tail to celebrate ’40 years SEM’ departed at first followed by two Rafales, a Br 1050 Alizé, a E-2C Hawkeye, a Falcon 10MER, a Morane-Saulnier MS760A Paris and a Fouga CM175 Zephyr. 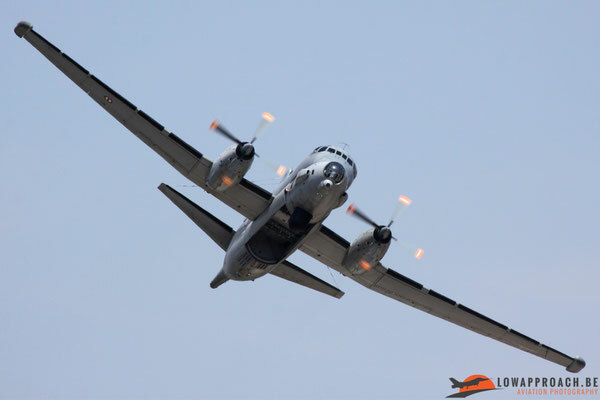 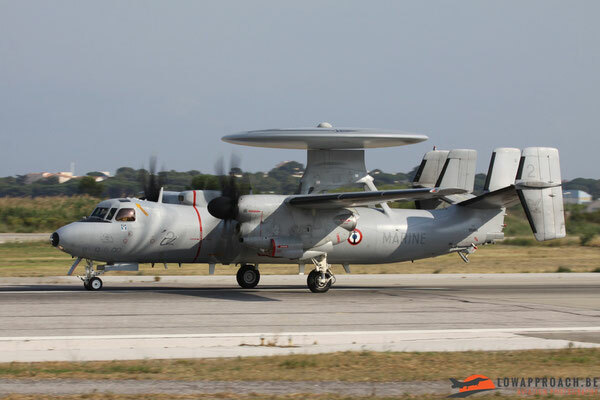 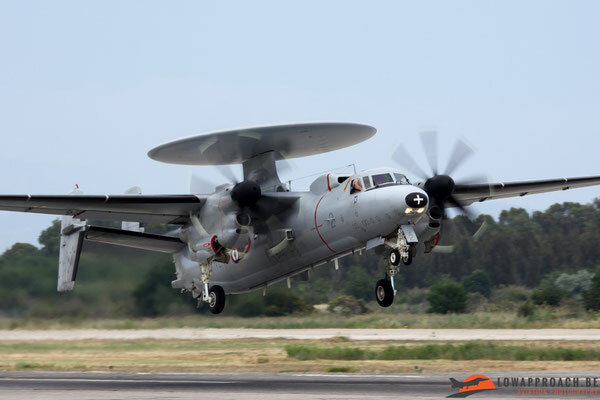 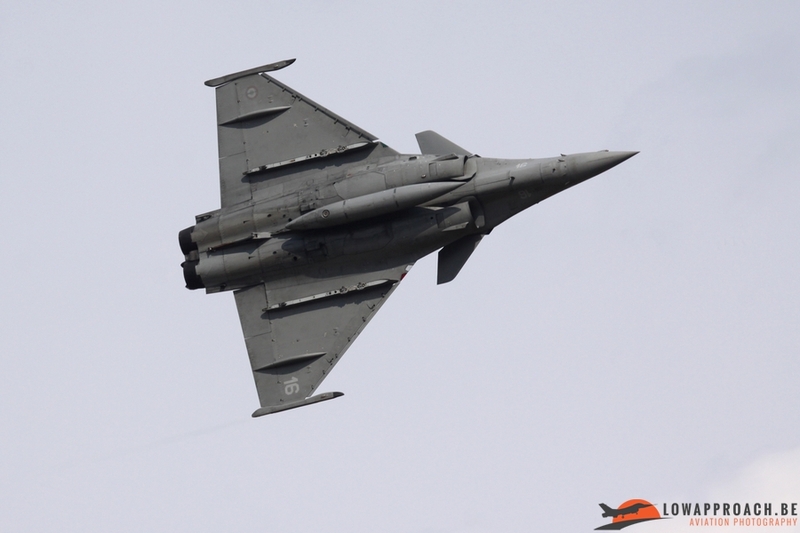 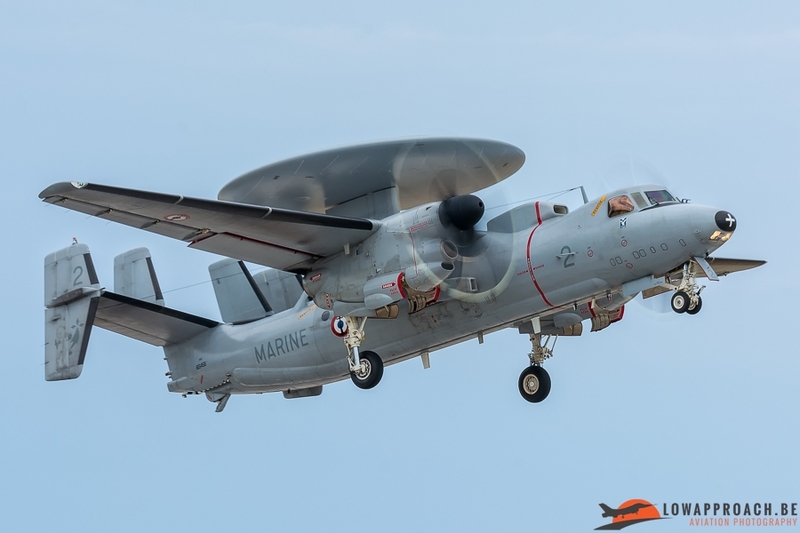 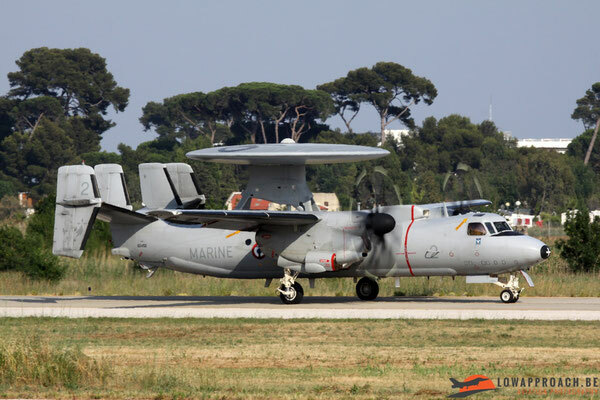 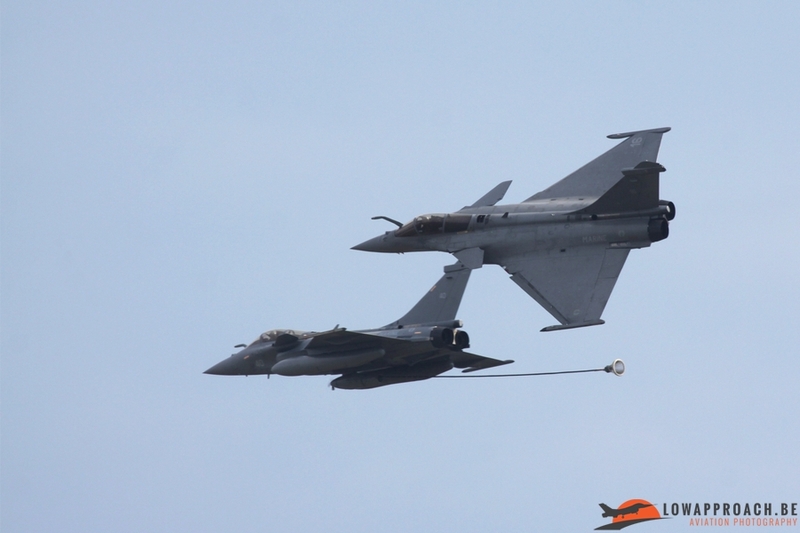 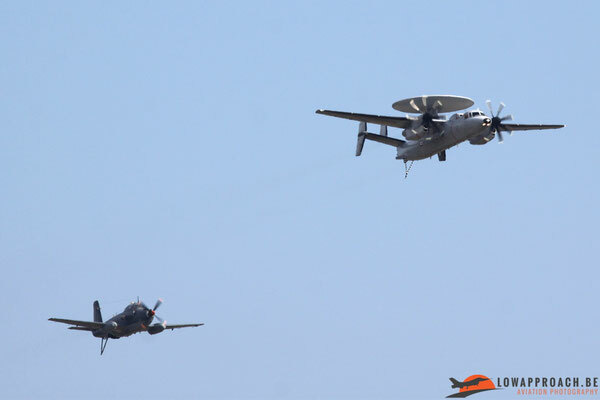 Flying demonstrations, which lasted more than 30 minutes, started with several formation fly bys, buddy-refuelling, tactical demonstrations from Rafales and SEMS to end with a solo display of the E-2C Hawkeye. After this demonstration all aircraft landed to close this wonderful day.